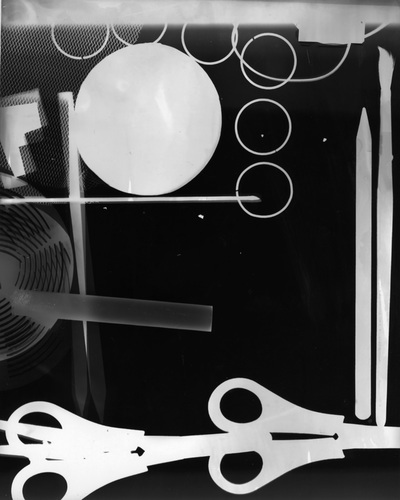 Photograms or Rayographs are camera-less images created by placing objects on a photo sensitive surface and exposing them to light. 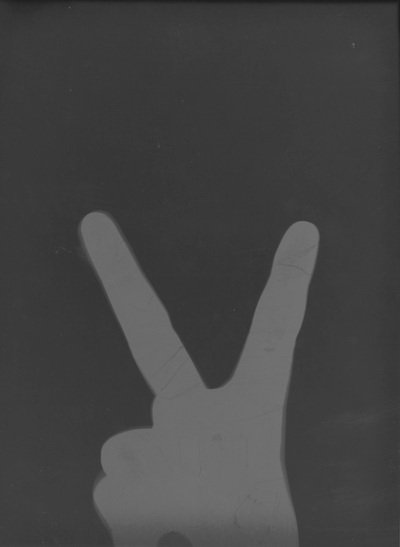 Where the object touches the surface it will protect it from the light, leaving a white or pale grey impression (depending on its opacity). If light is able to get underneath the object the surface will change in tone. If there is no protection at all the paper will turn black. 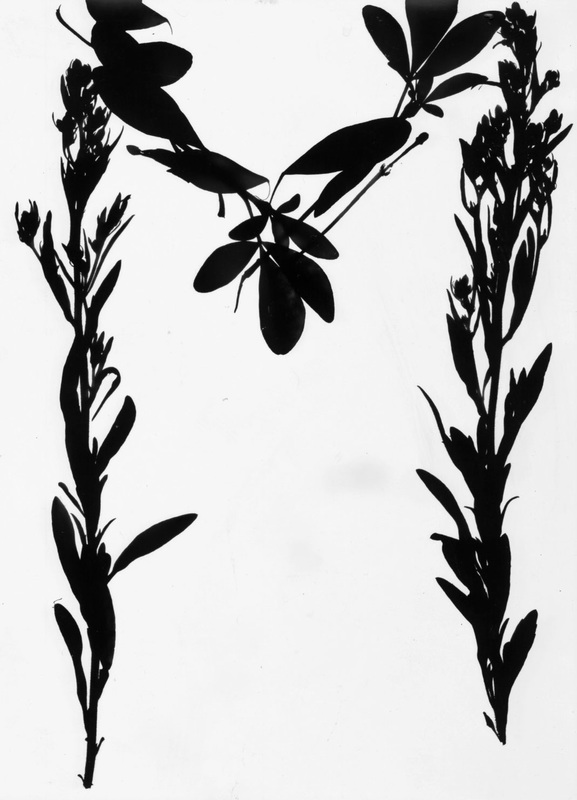 Anna Atkins created photogram-like images using paper that could be exposed in sunlight and developed and fixed in water. 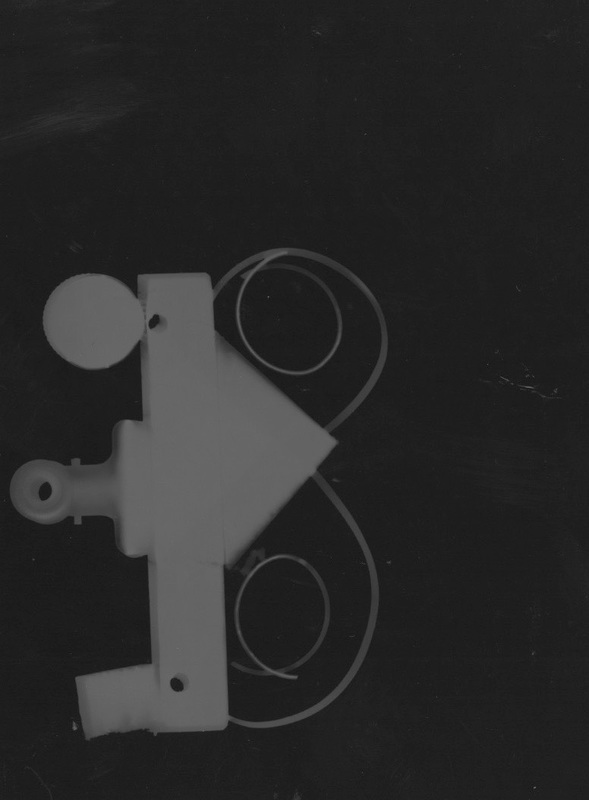 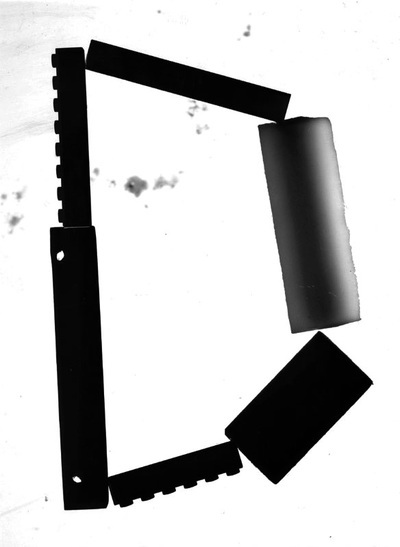 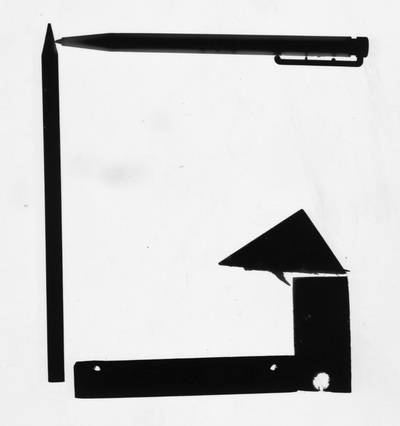 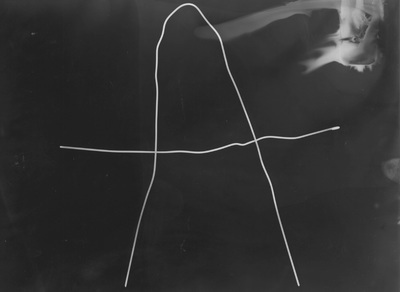 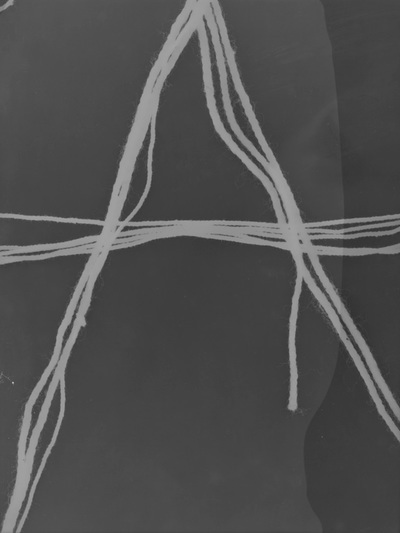 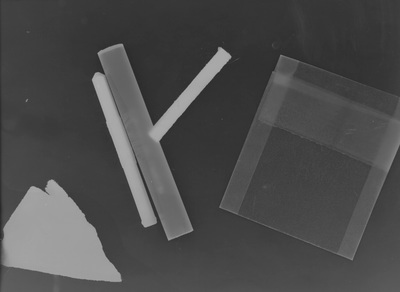 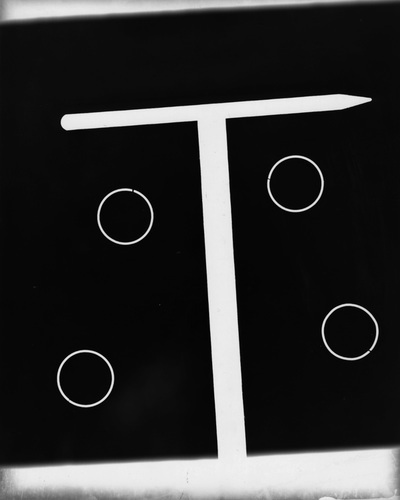 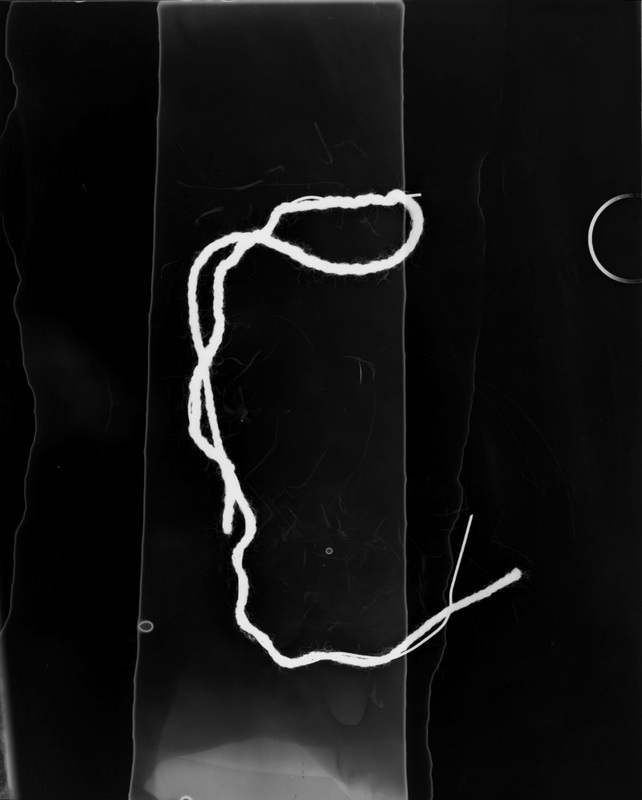 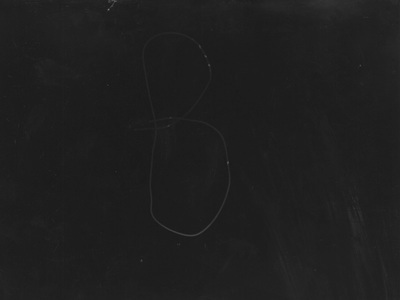 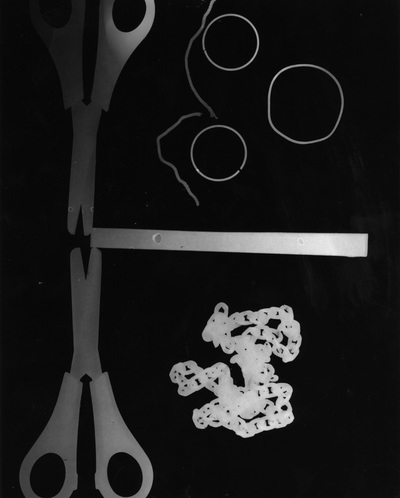 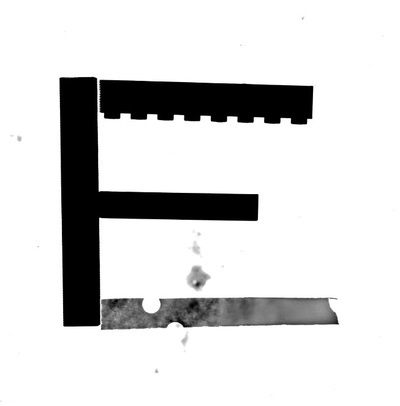 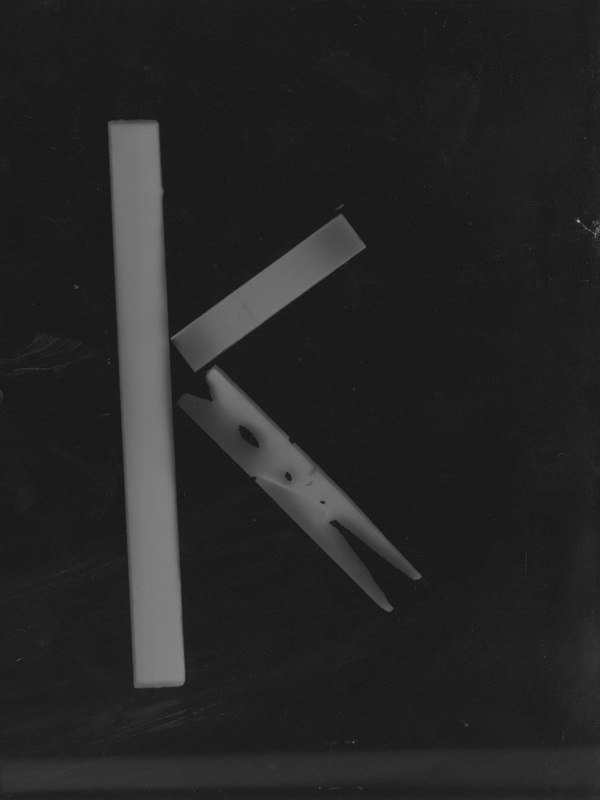 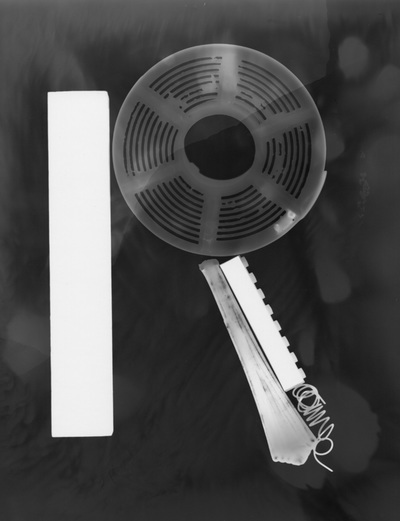 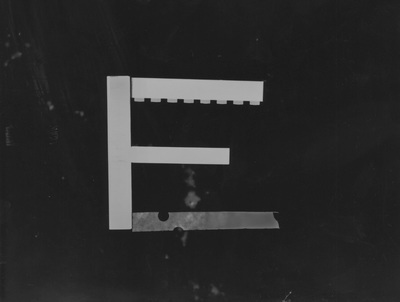 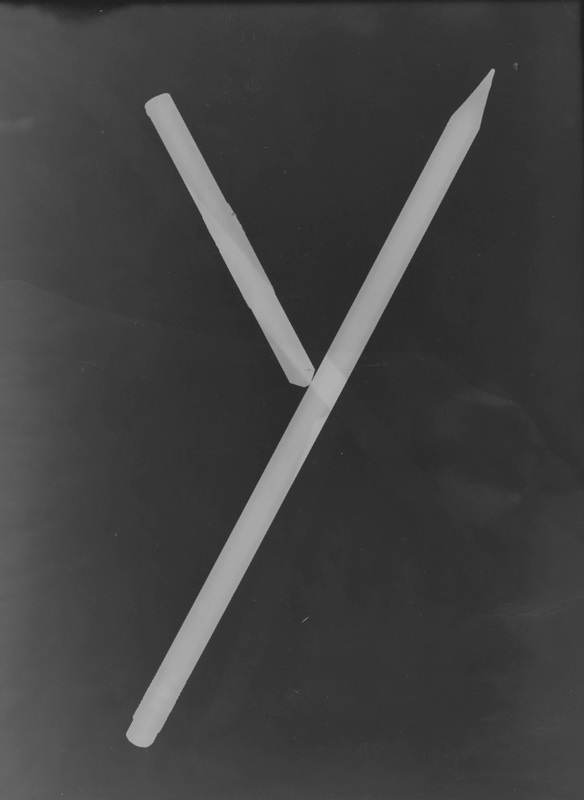 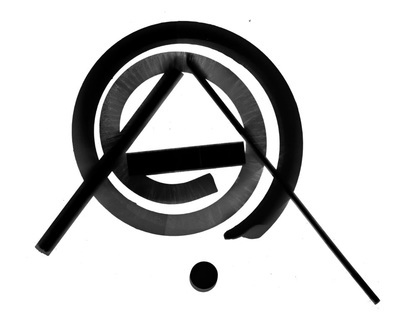 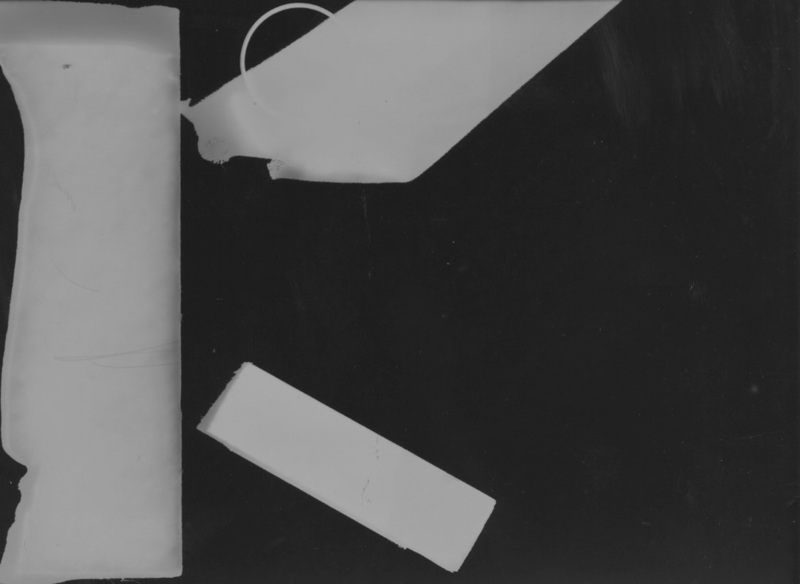 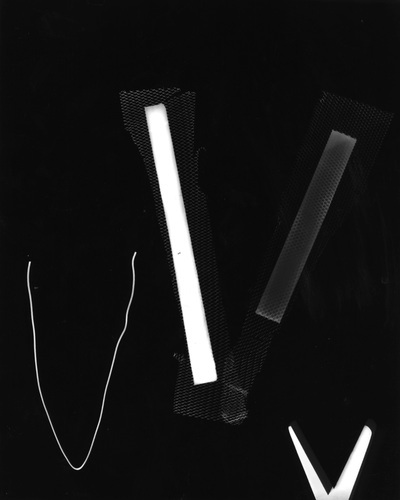 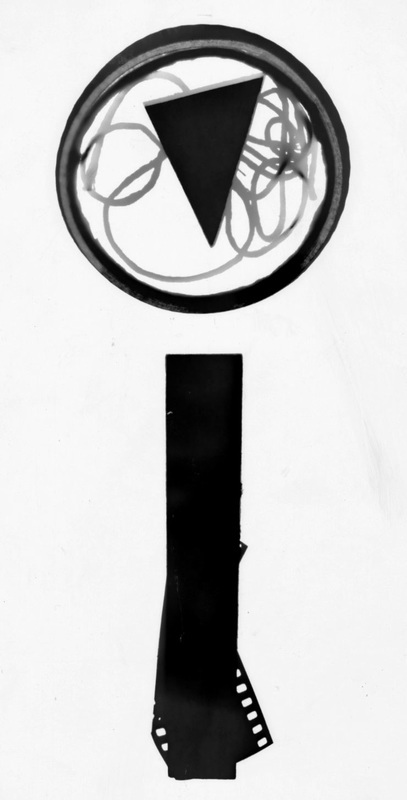 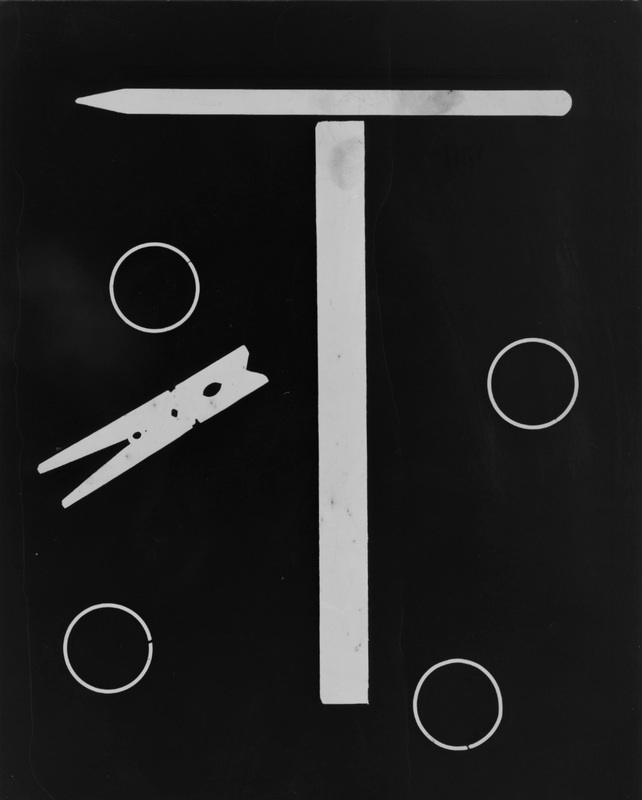 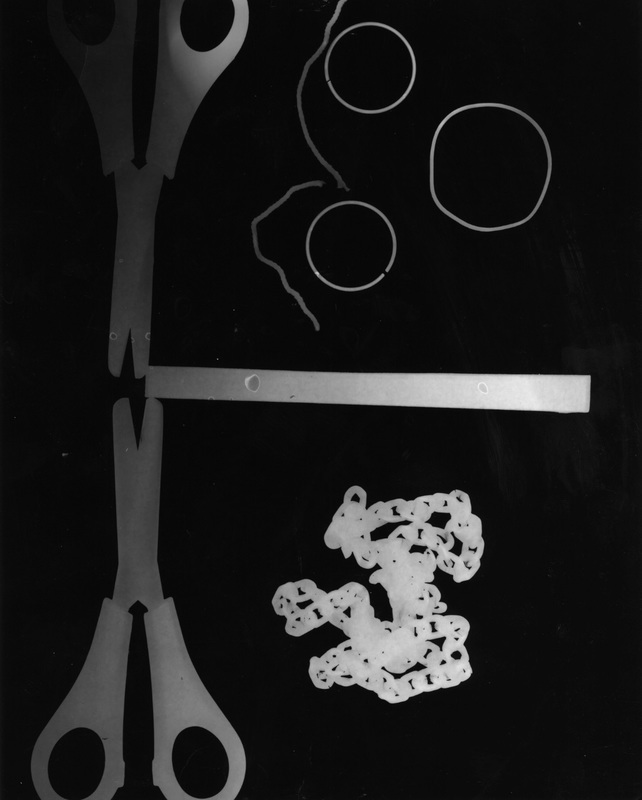 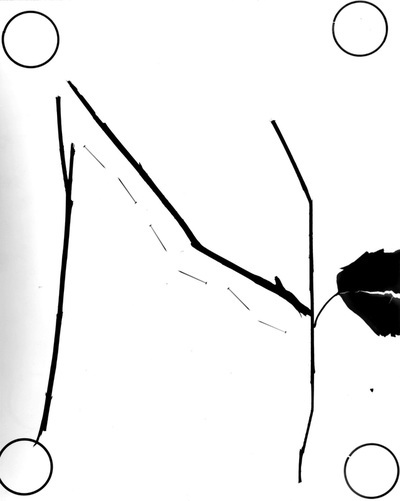 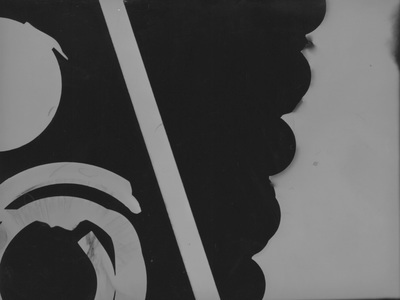 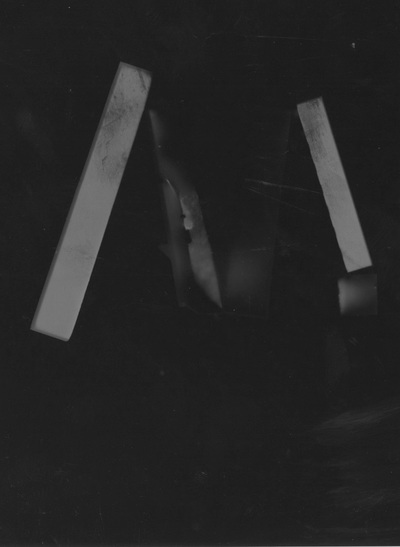 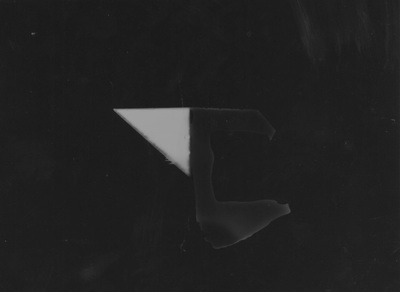 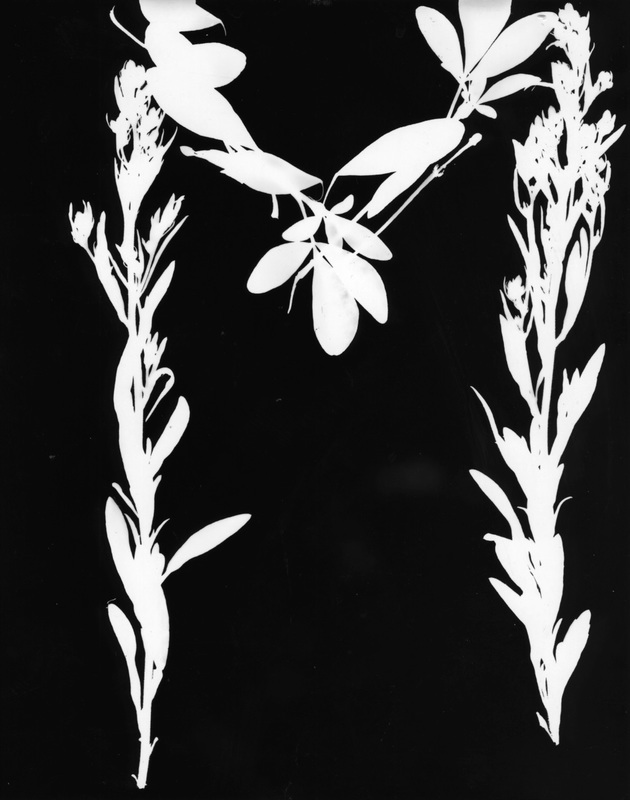 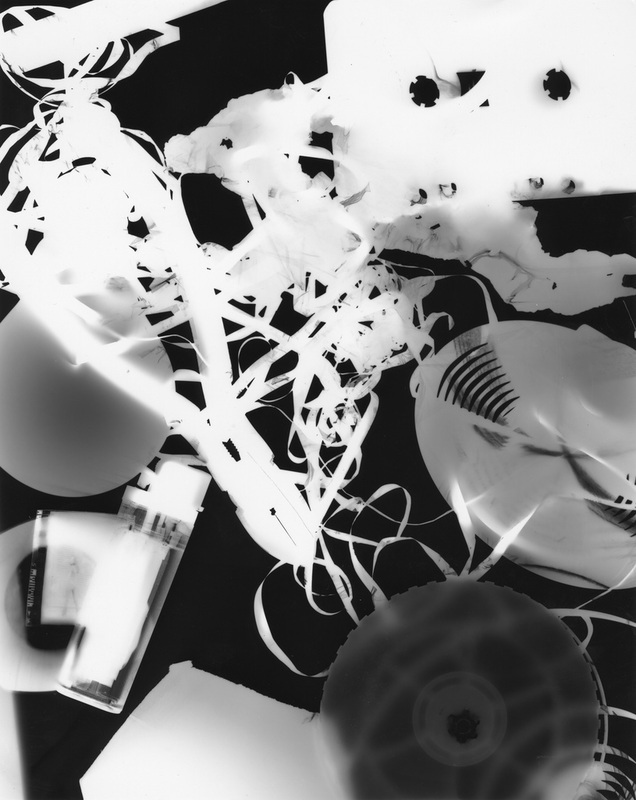 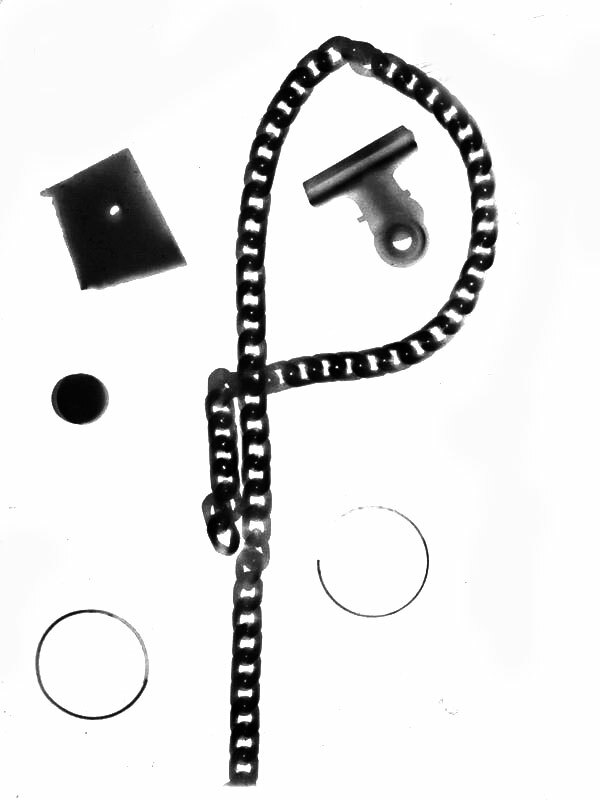 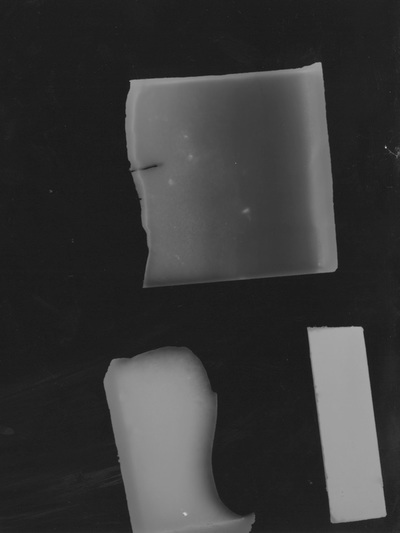 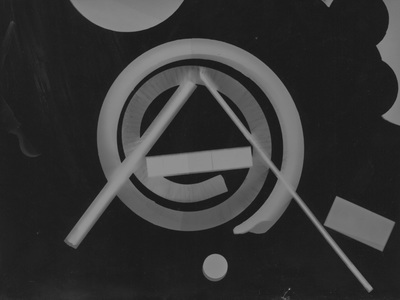 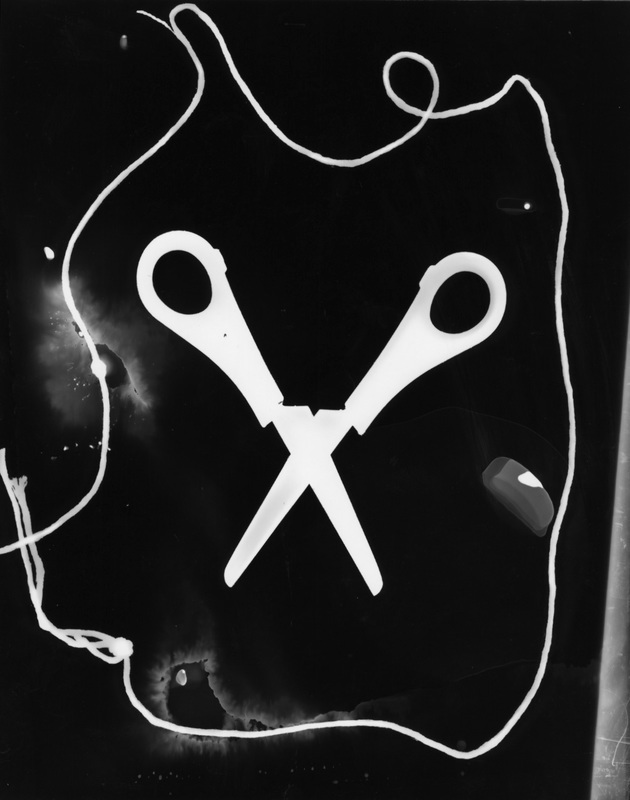 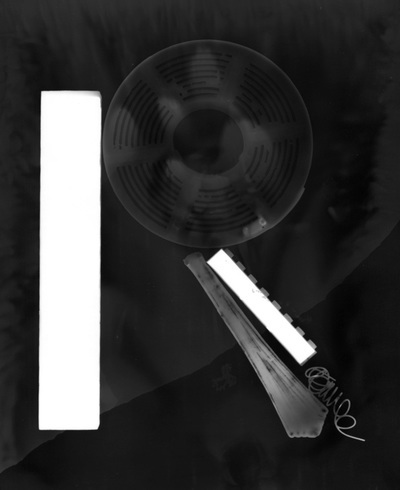 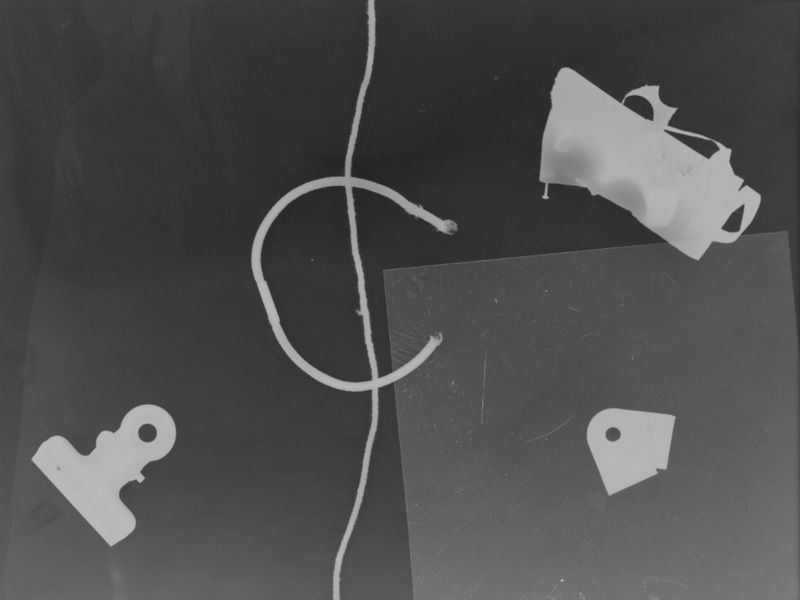 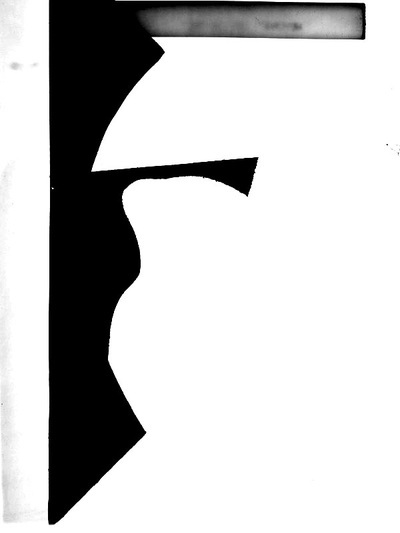 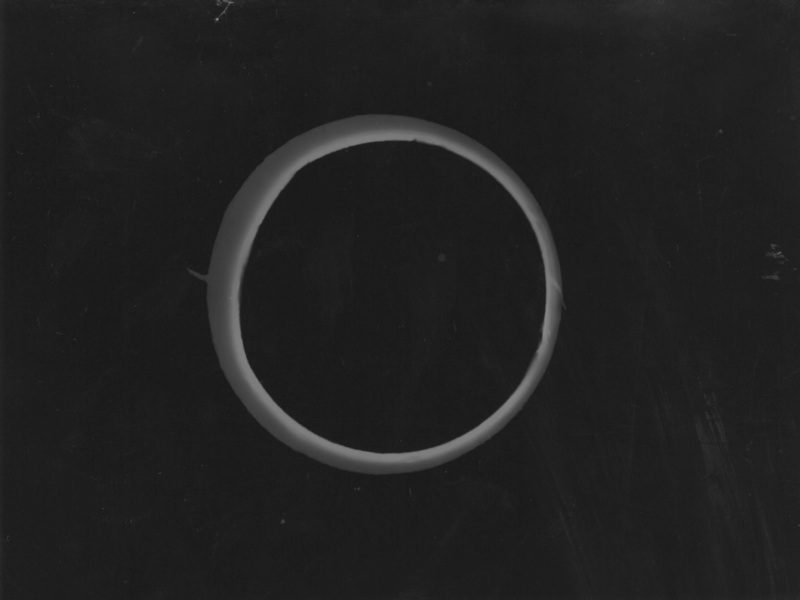 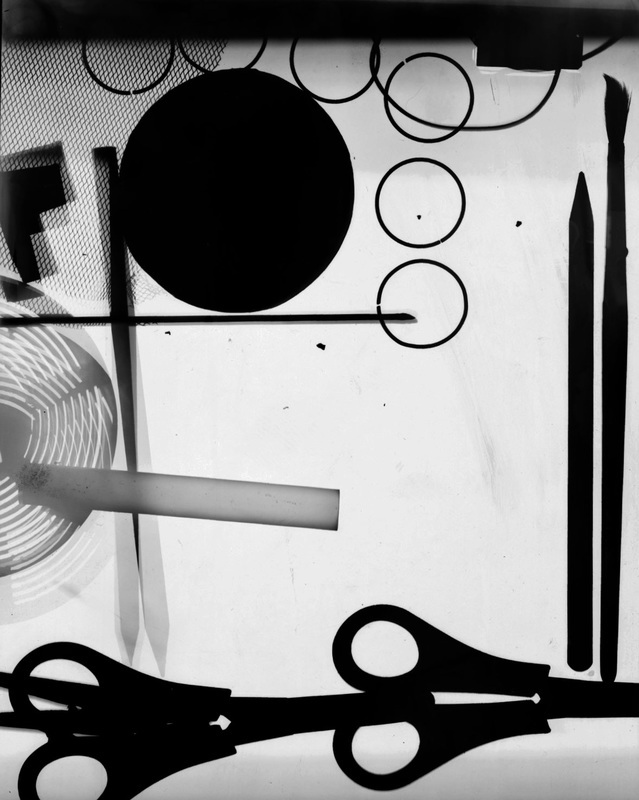 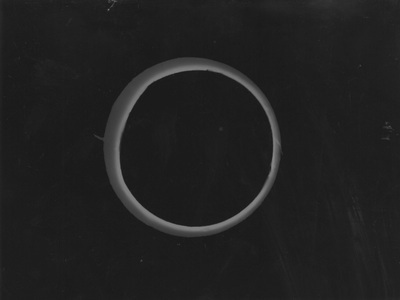 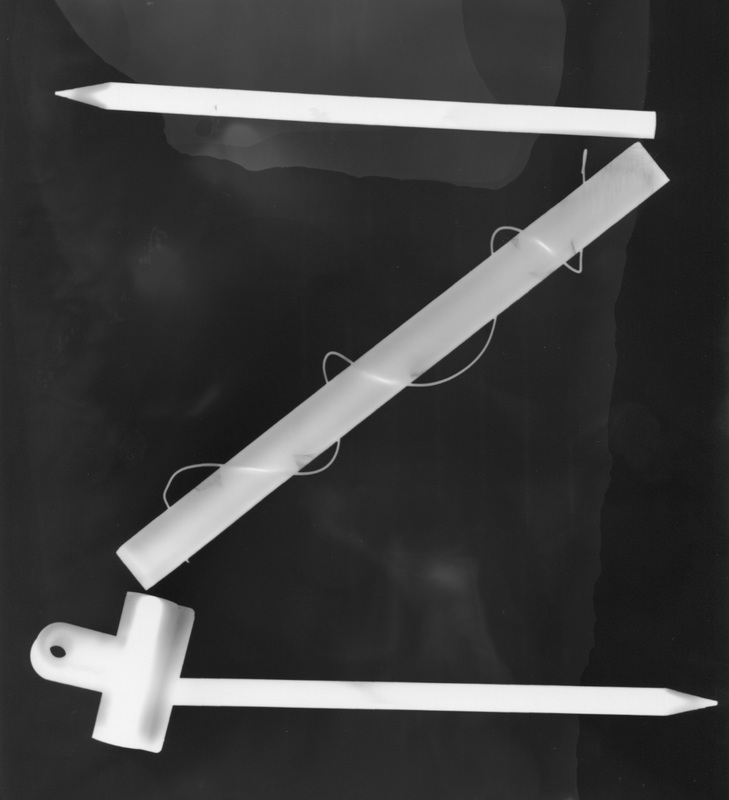 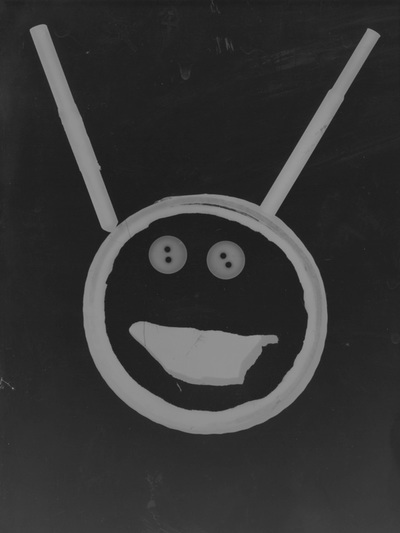 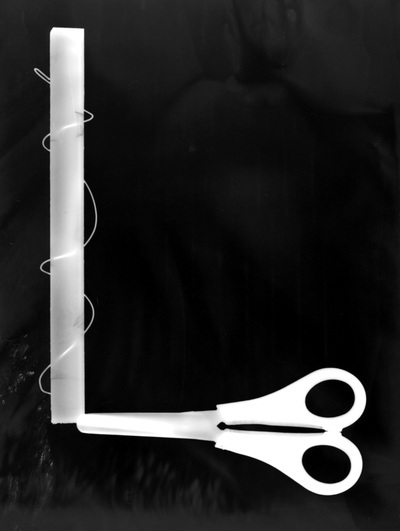 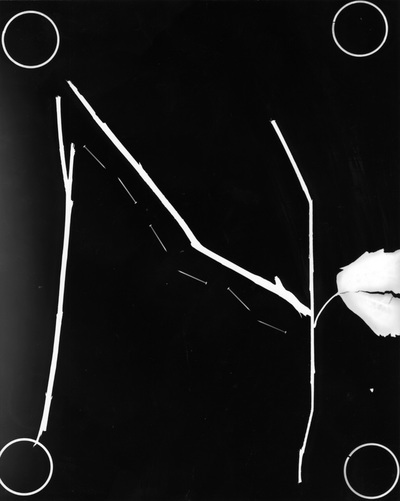 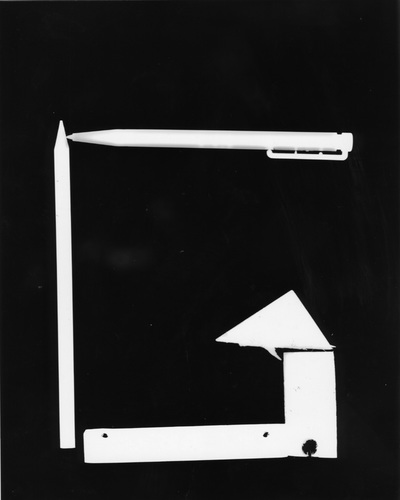 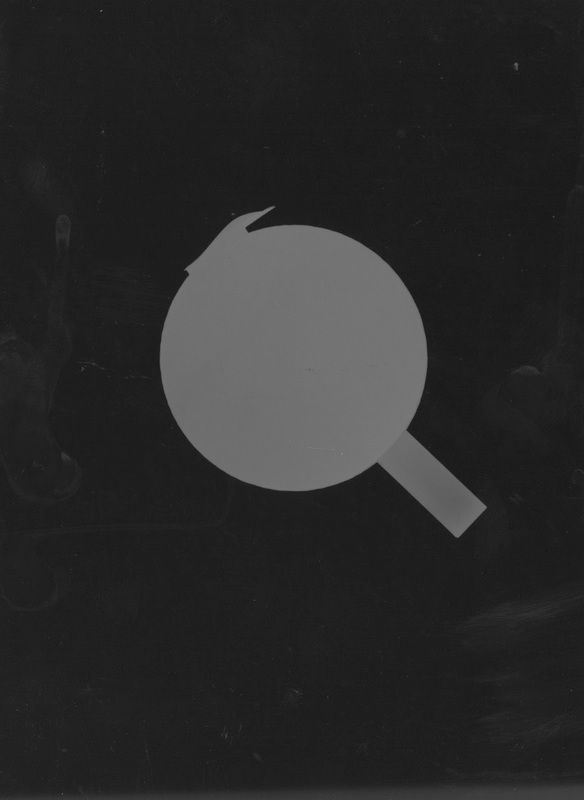 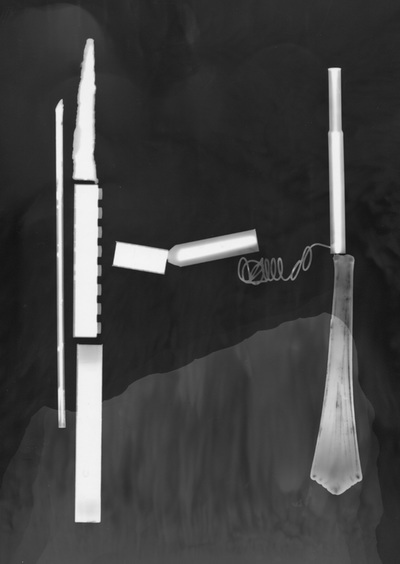 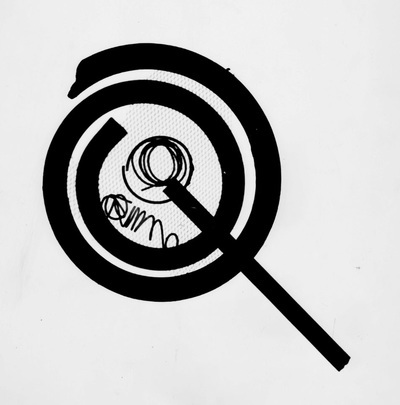 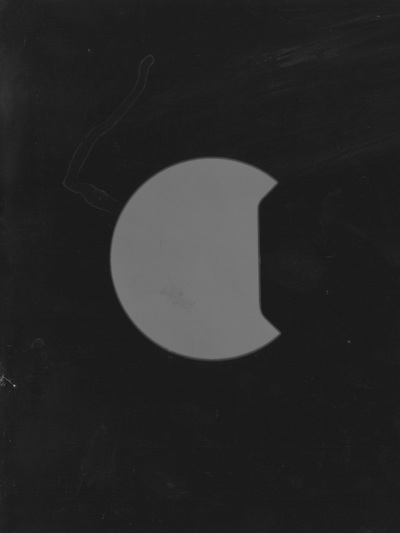 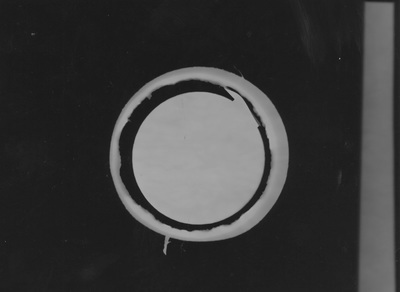 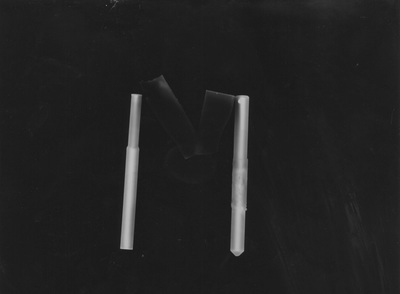 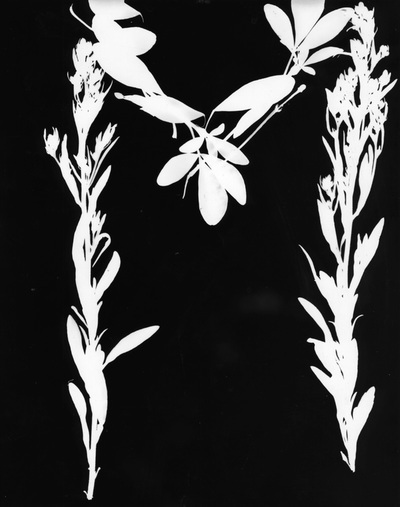 Photograms/Rayographs are the result of experiments in the darkroom where chemicals (Developer/Stop/Fix) are used to activate the image which is finally washed in running water. 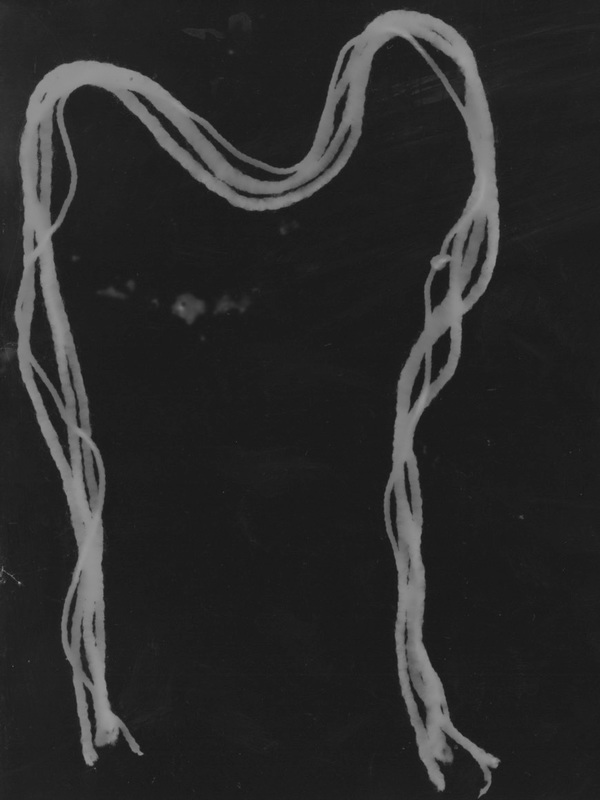 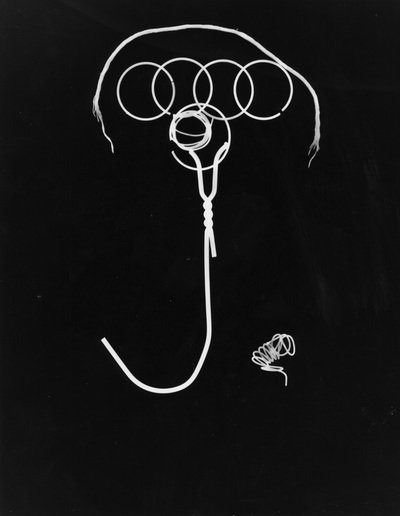 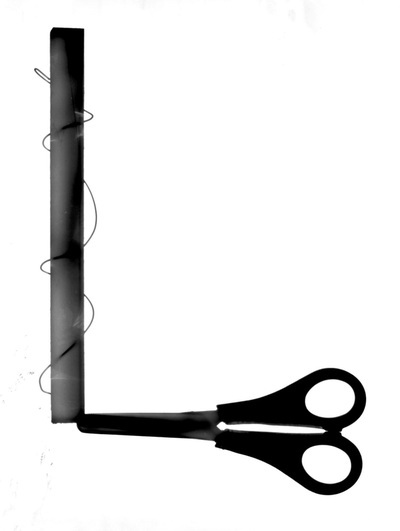 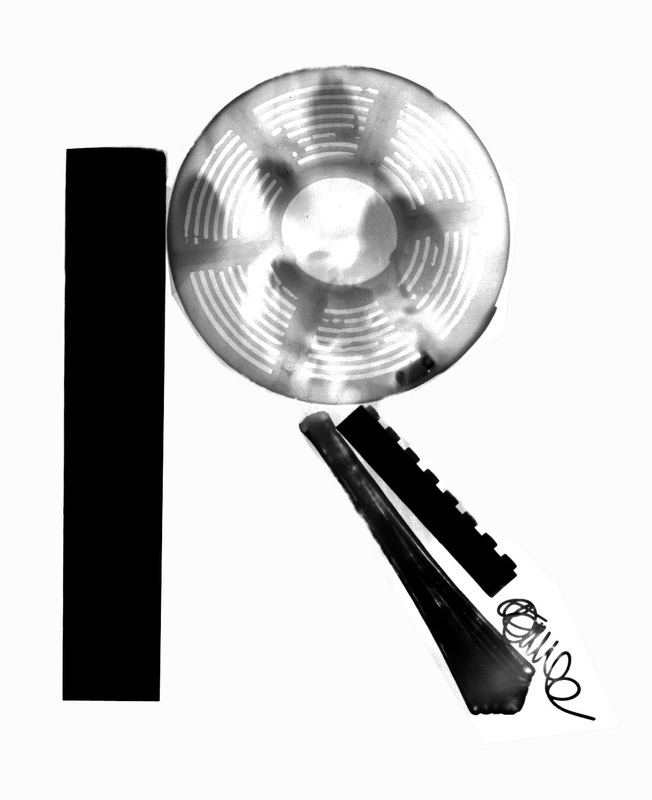 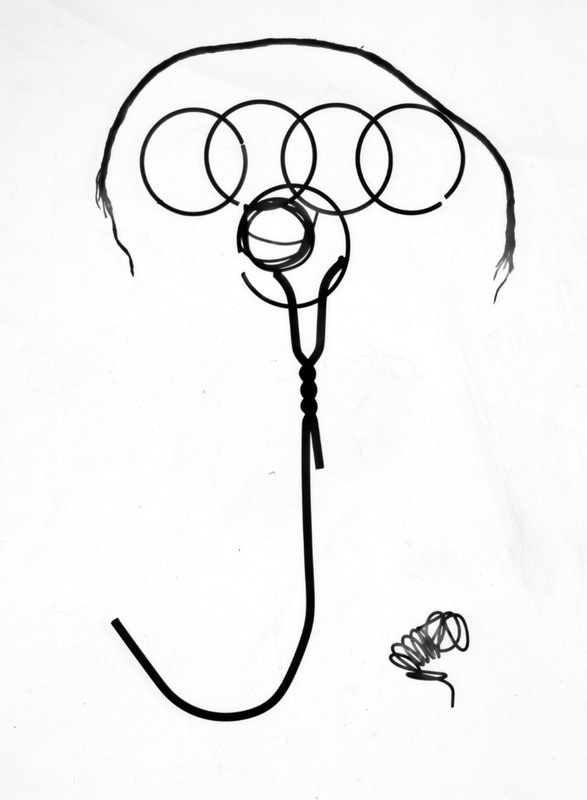 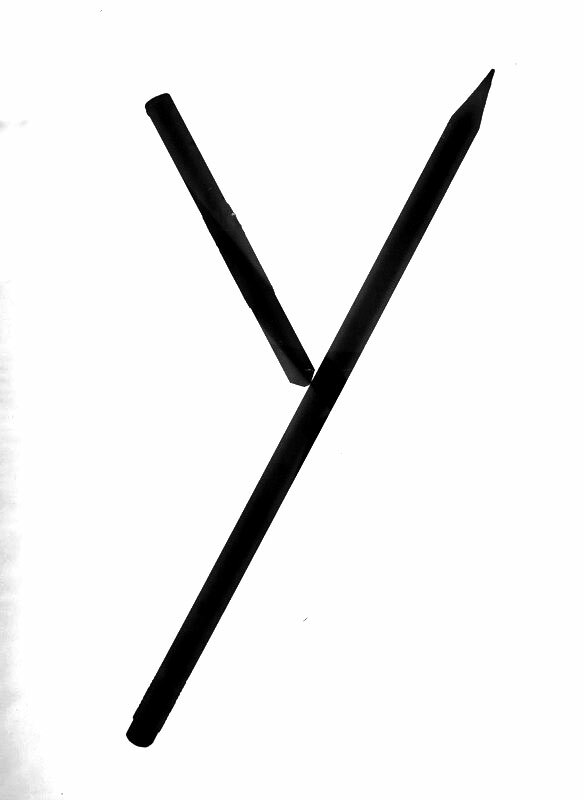 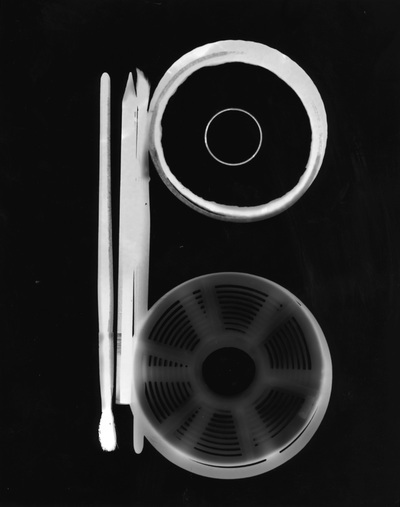 Rayographs are the name given to photograms by the artist Man Ray. 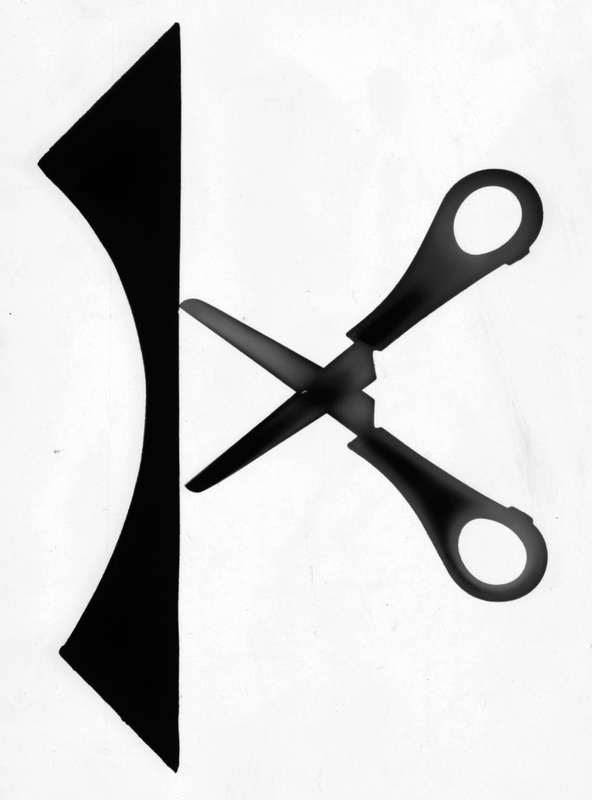 Otherwise they are the same type of image. 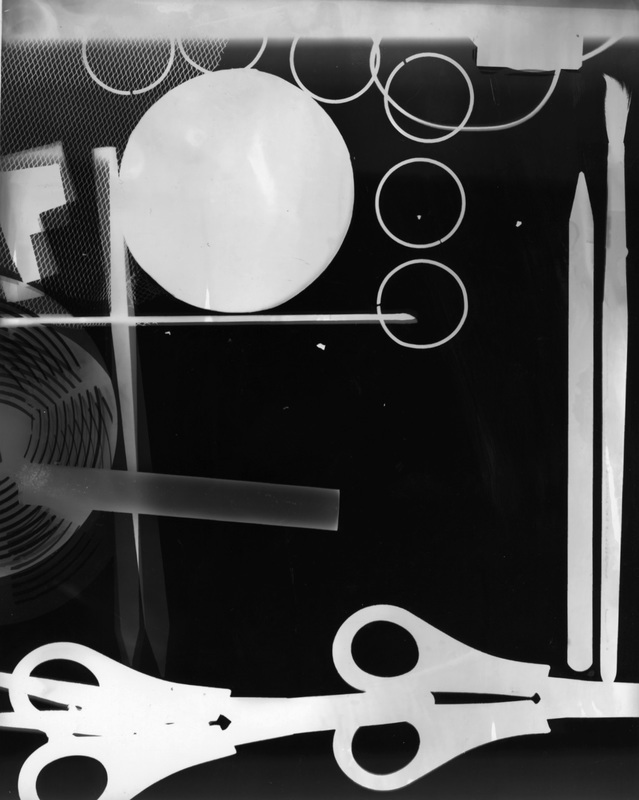 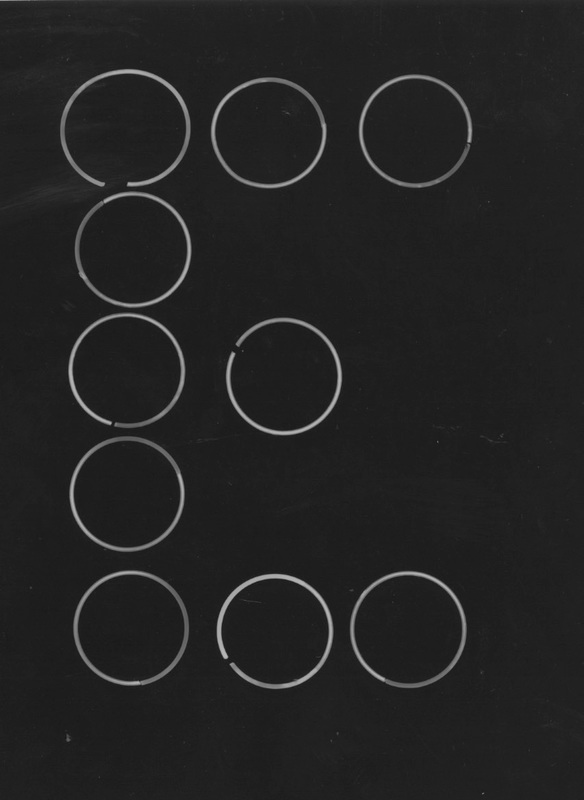 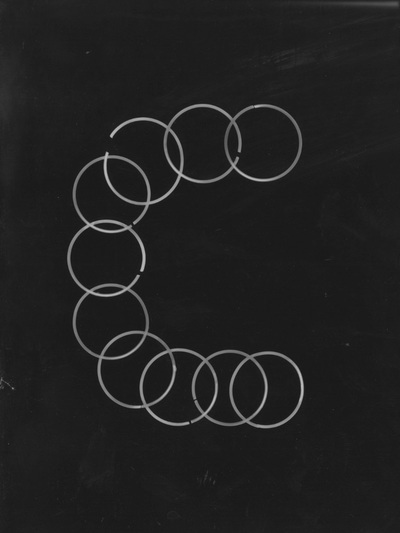 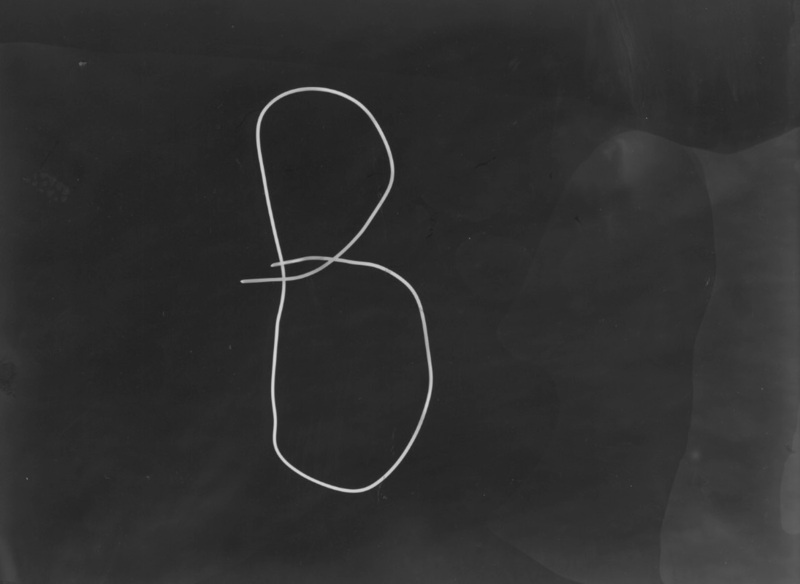 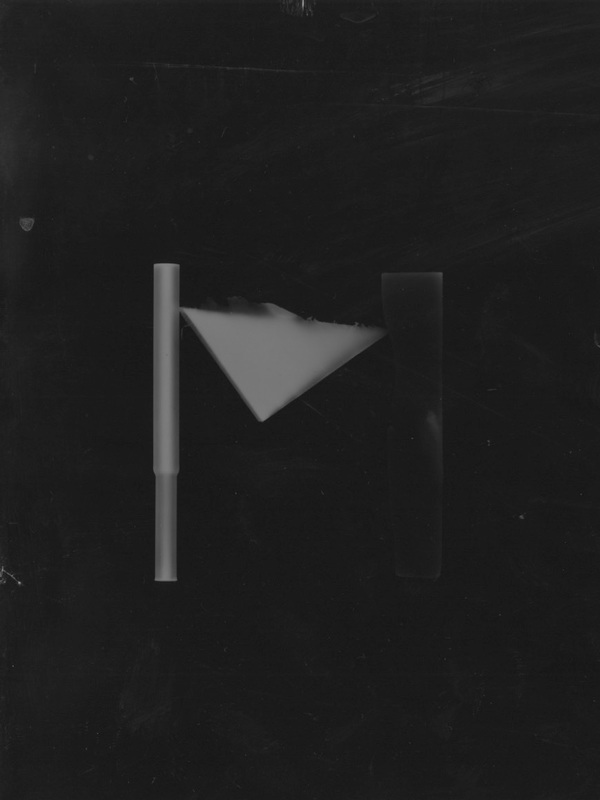 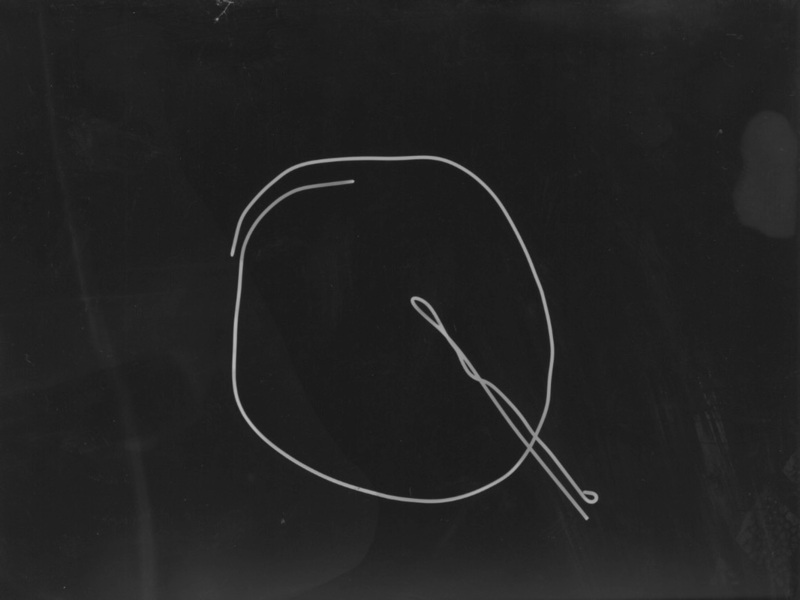 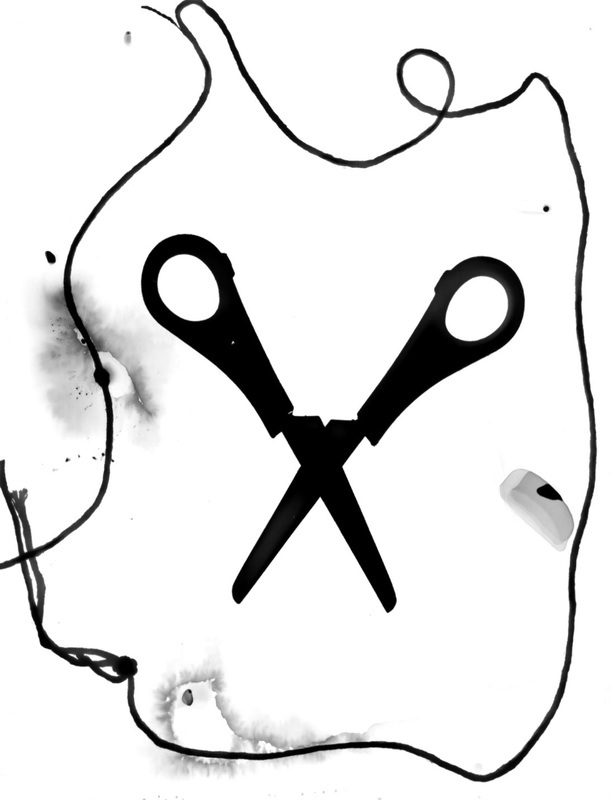 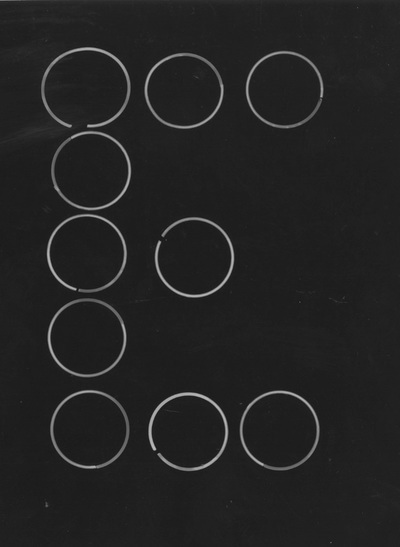 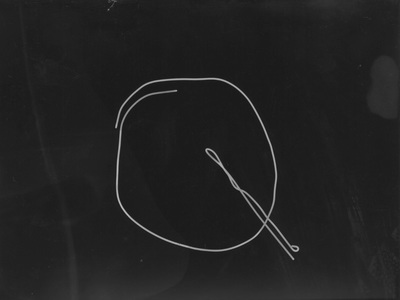 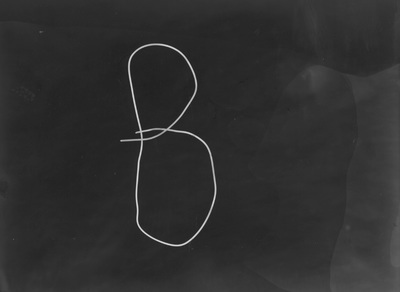 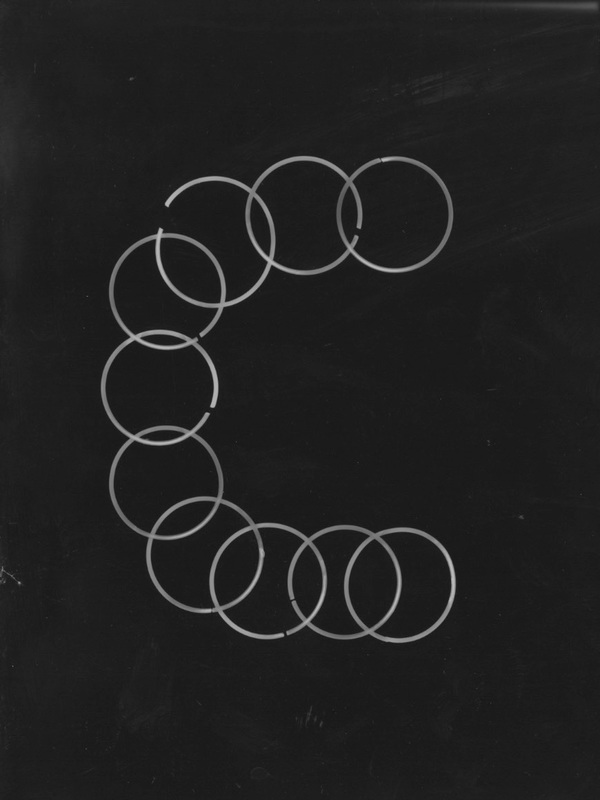 How do you make a photogram? 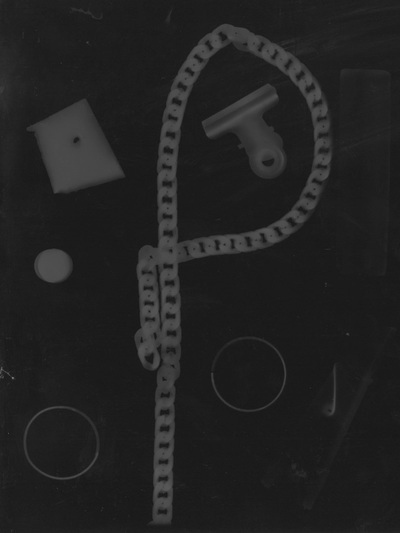 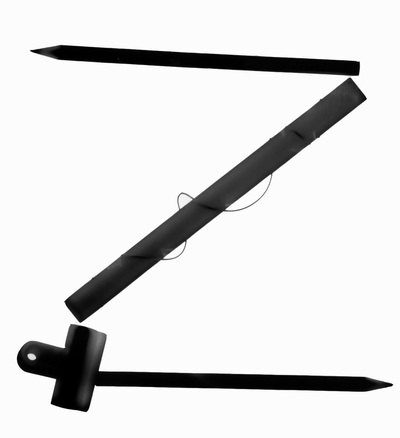 Firstly you choose a series of objects. 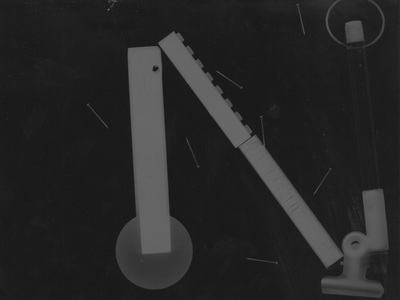 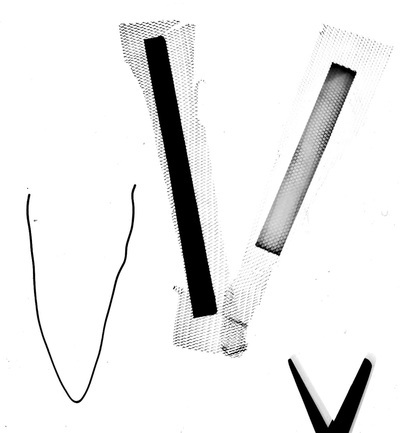 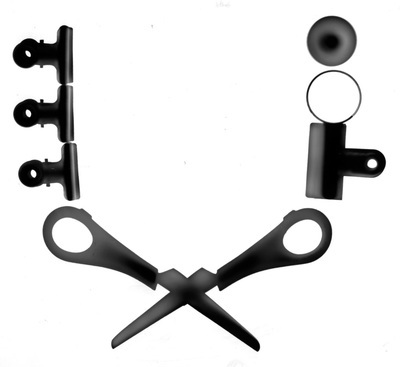 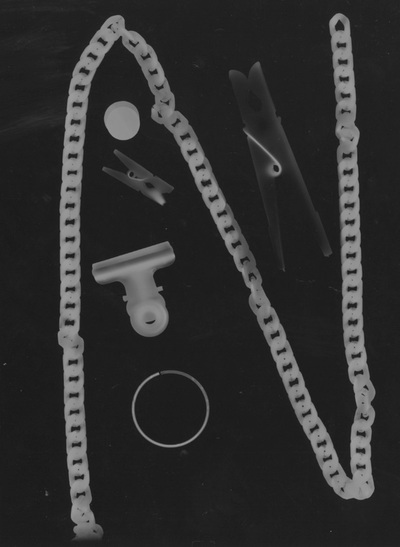 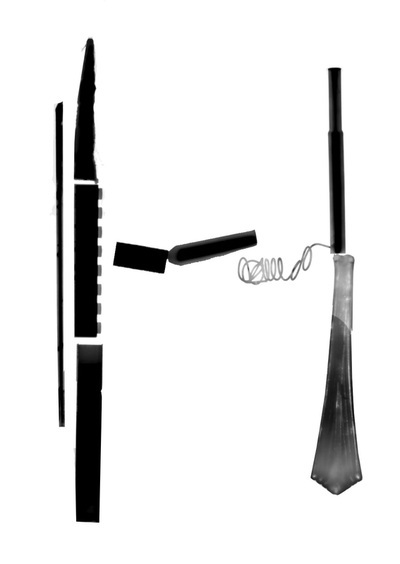 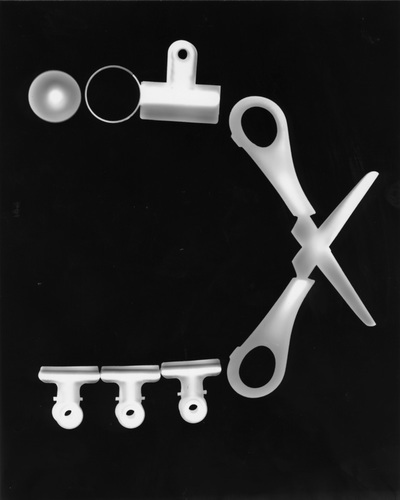 You arrange these objects on a piece of light sensitive photographic paper. 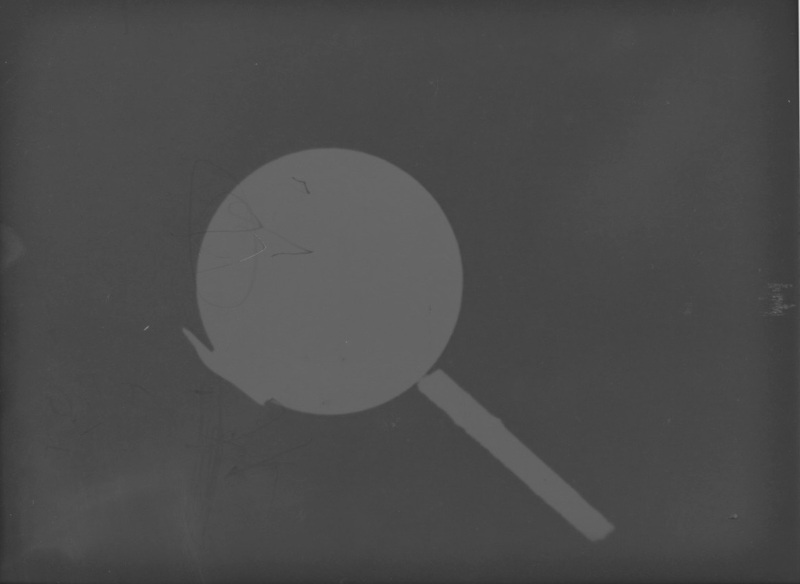 This is then exposed to light for a few seconds. The paper is then taken over to the wet area of the darkroom and soaked in a series of chemicals. 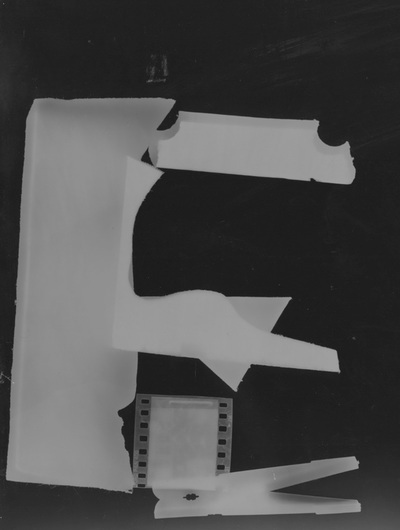 The main chemicals used in the darkroom are developer, which causes the silver iodide of the paper emulsion to darken if it has been exposed to light, and fixer, which removes the undeveloped silver iodide from the emulsion. 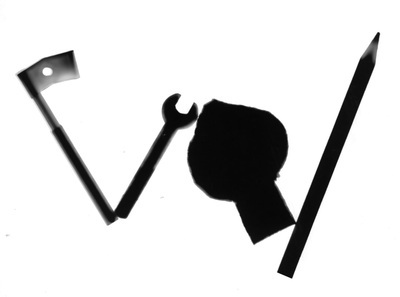 A chemical used to completely stop the development process is called stop bath, and is used between the developer stage and the fixer stage. 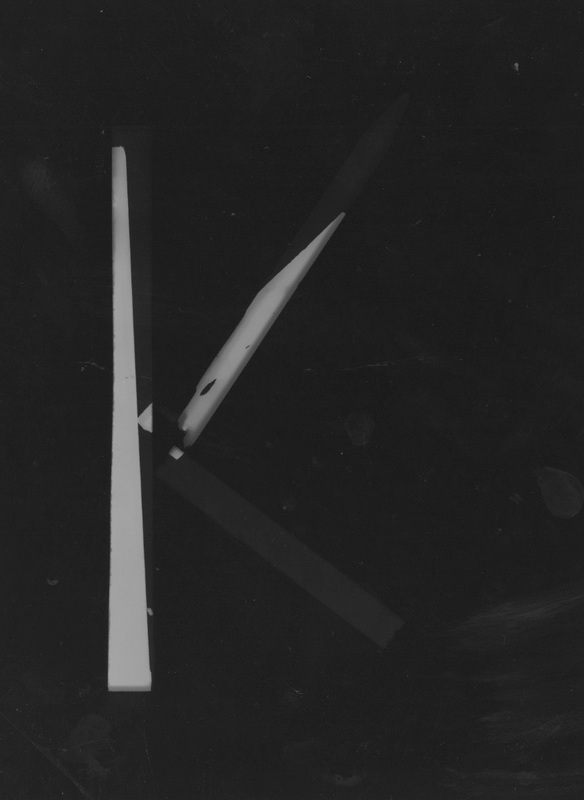 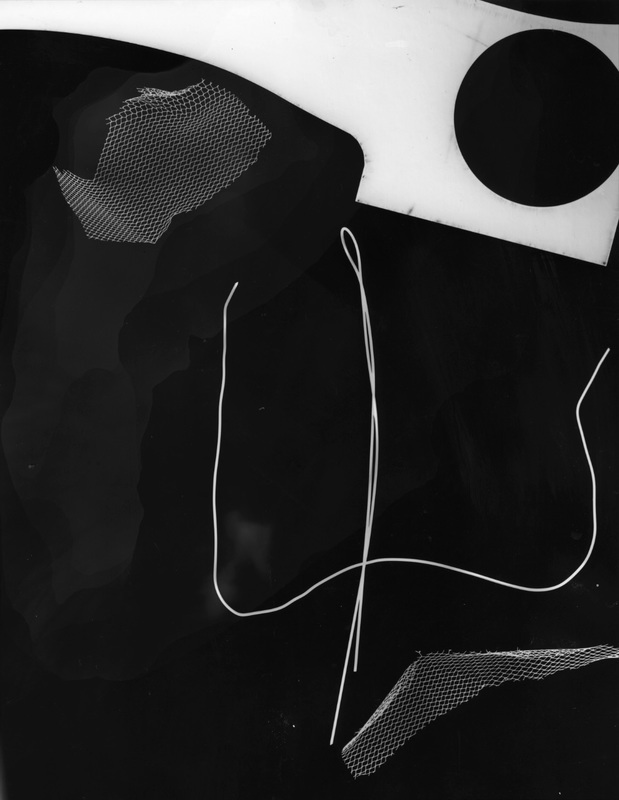 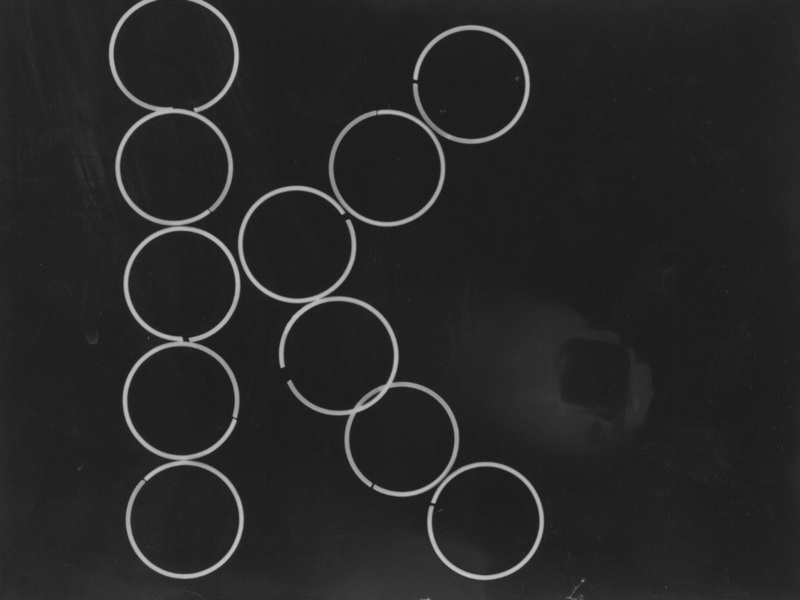 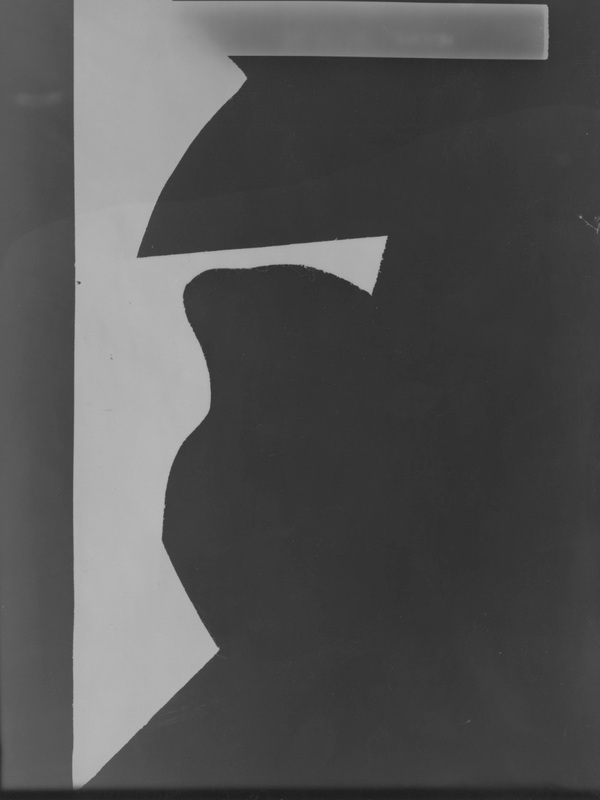 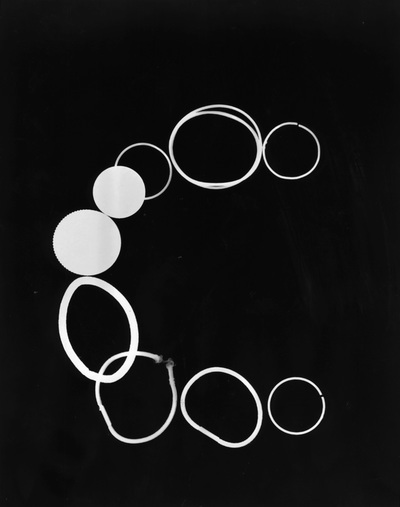 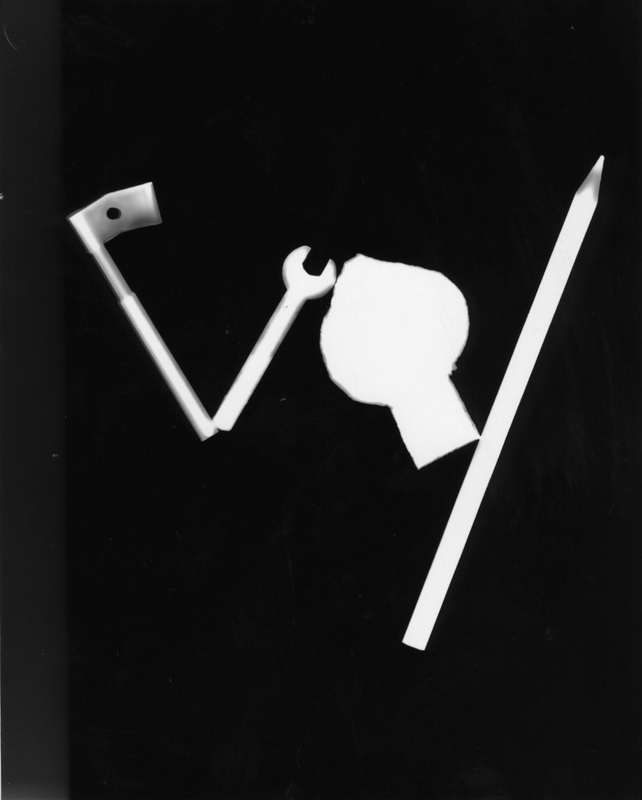 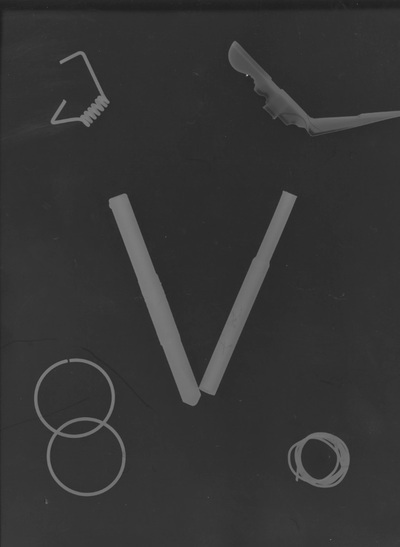 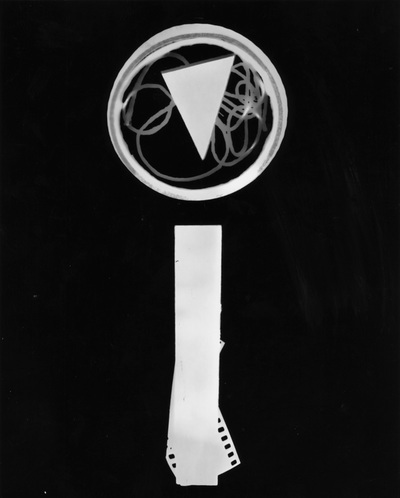 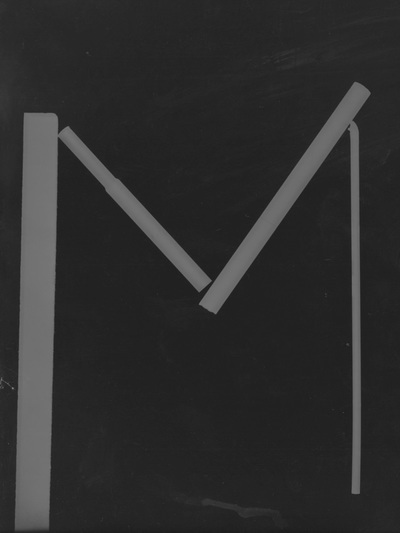 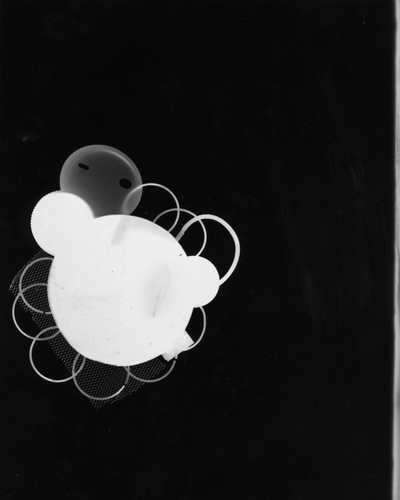 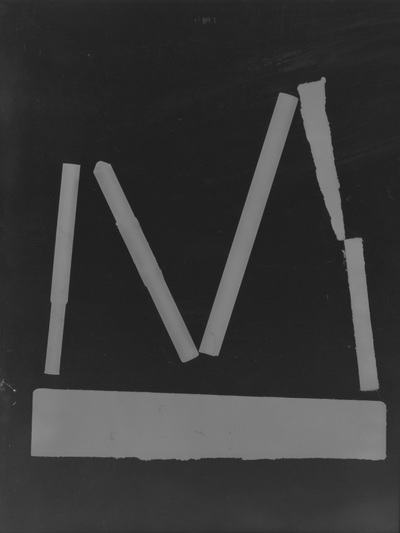 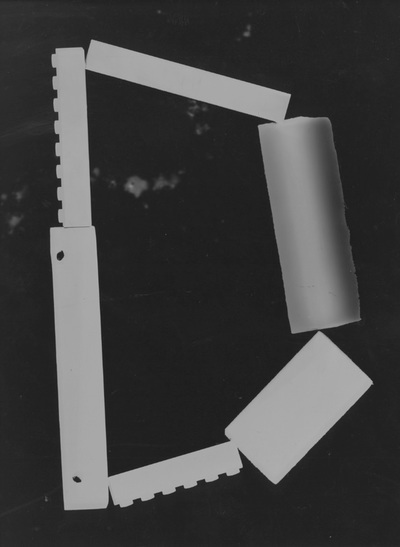 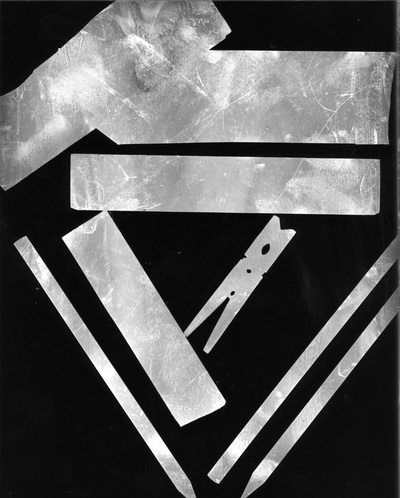 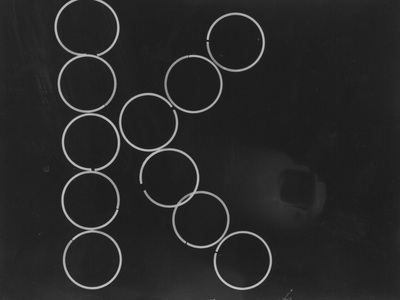 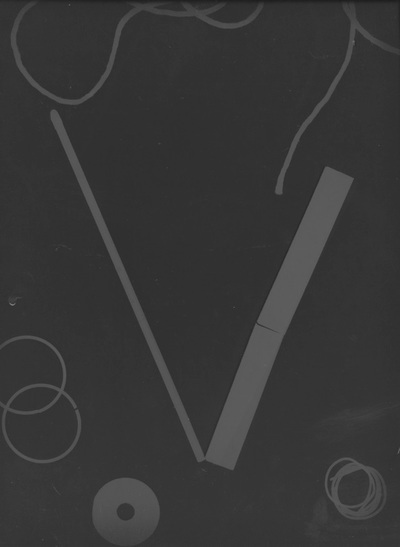 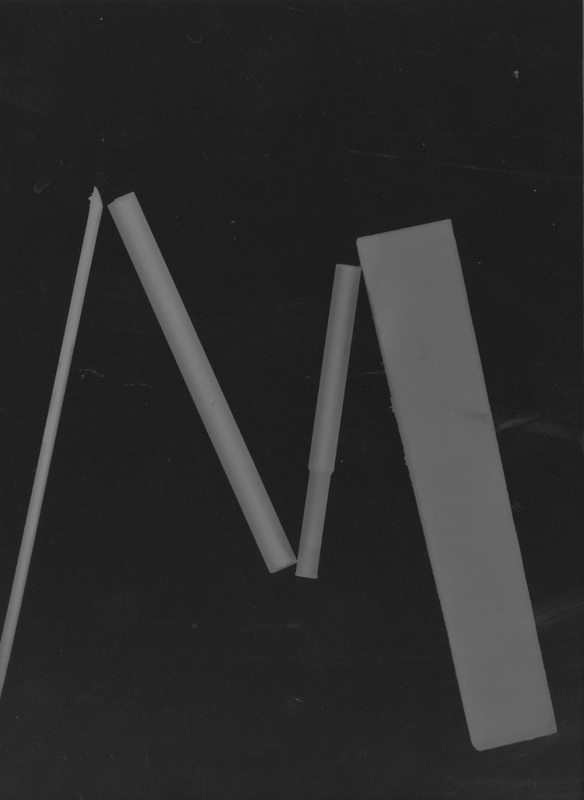 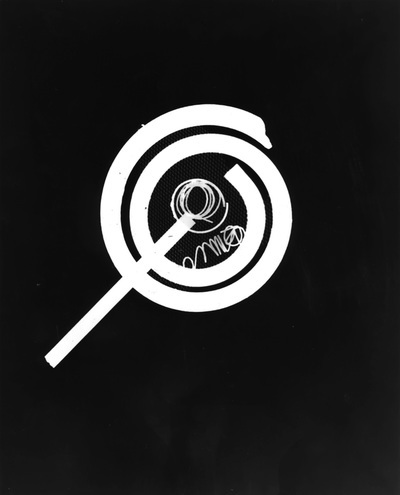 These photograms were created by Man Ray and Laszlo Moholy Nagy. 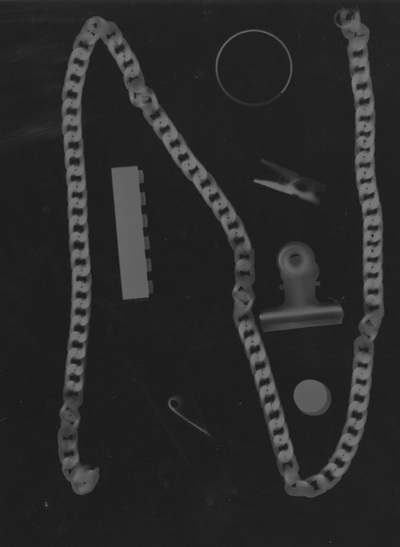 Can you tell whose is whose? 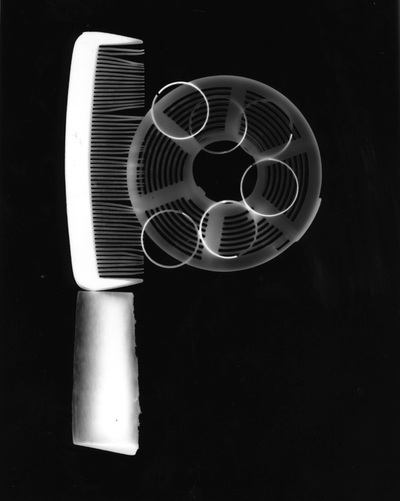 You can find out which is my favourite Photogram by checking out a post on my blog. I have also created this board in Pinterest. 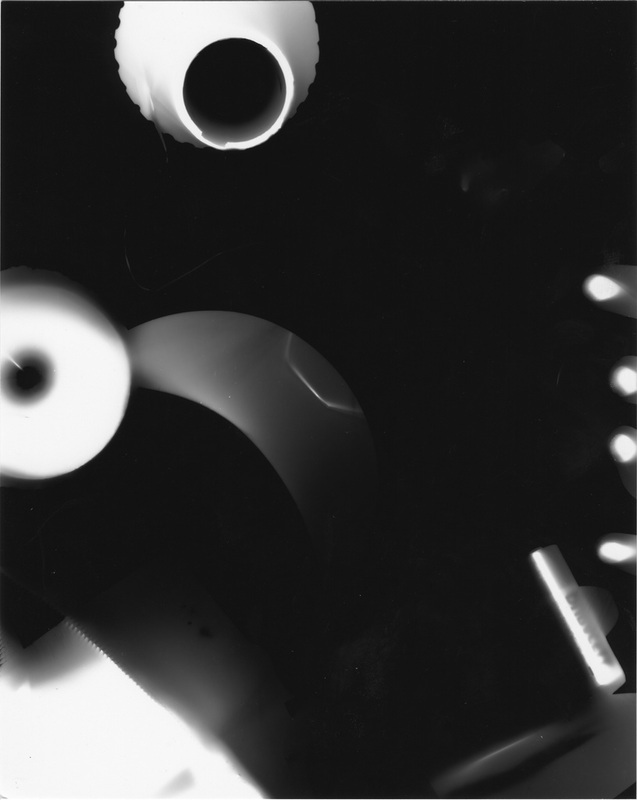 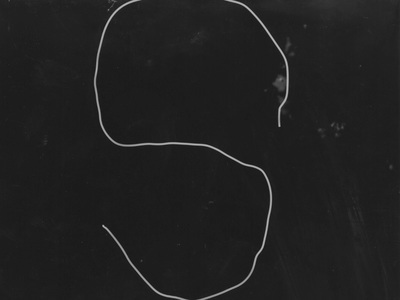 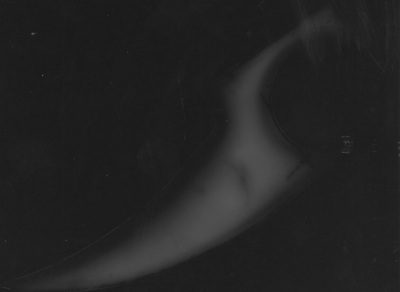 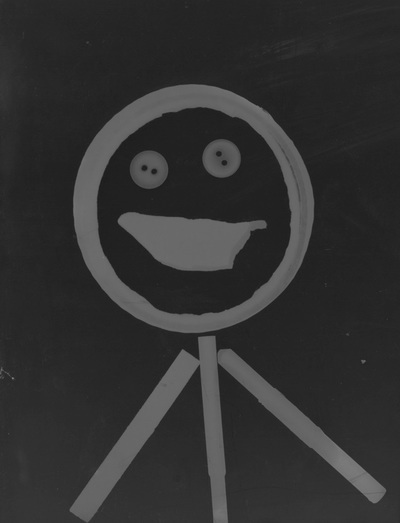 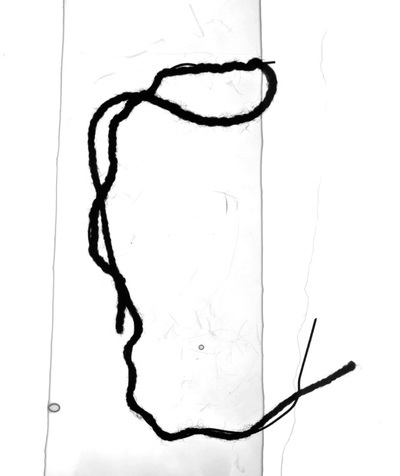 My first photogram was a partial success. 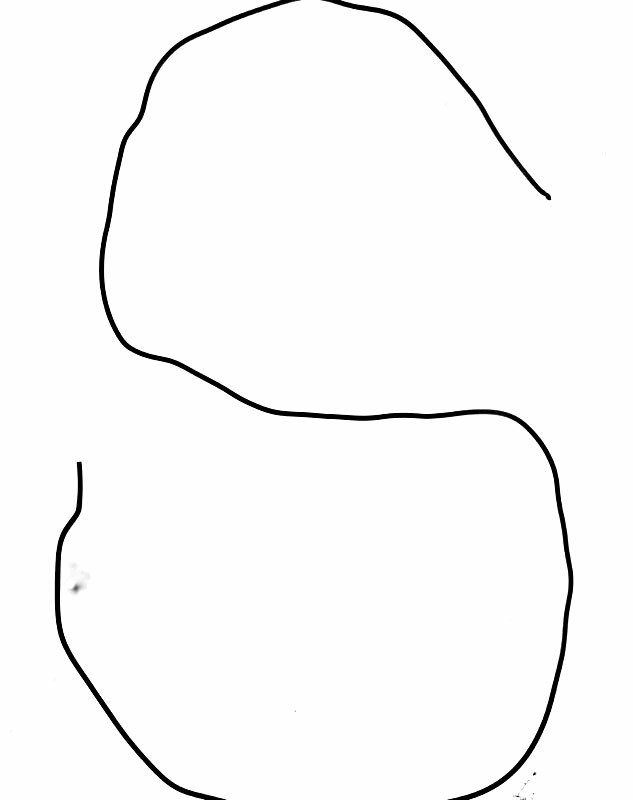 You can clearly see some of the shapes I chose against the dark background. 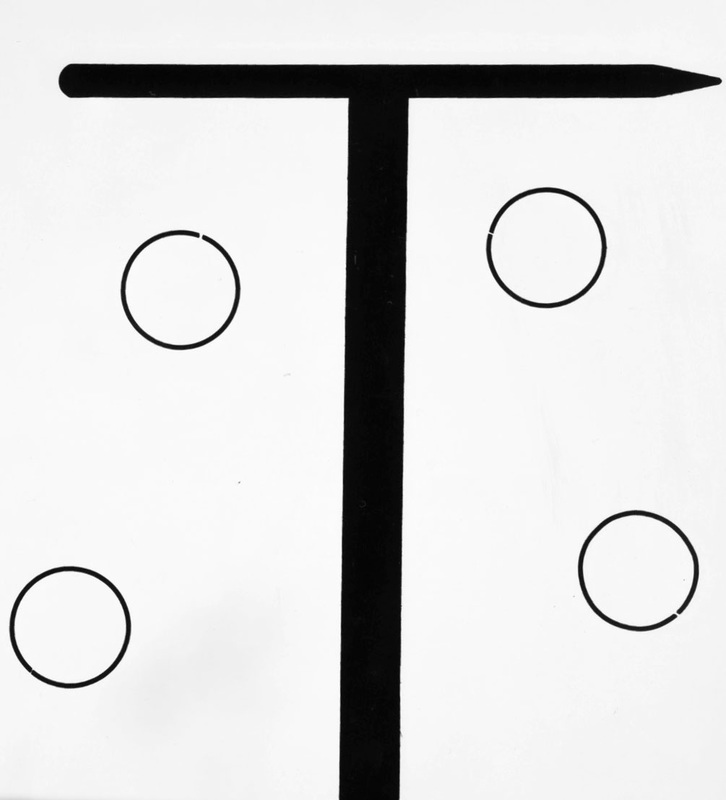 Most of them are around the edge and this leaves quite a large empty space in the centre. 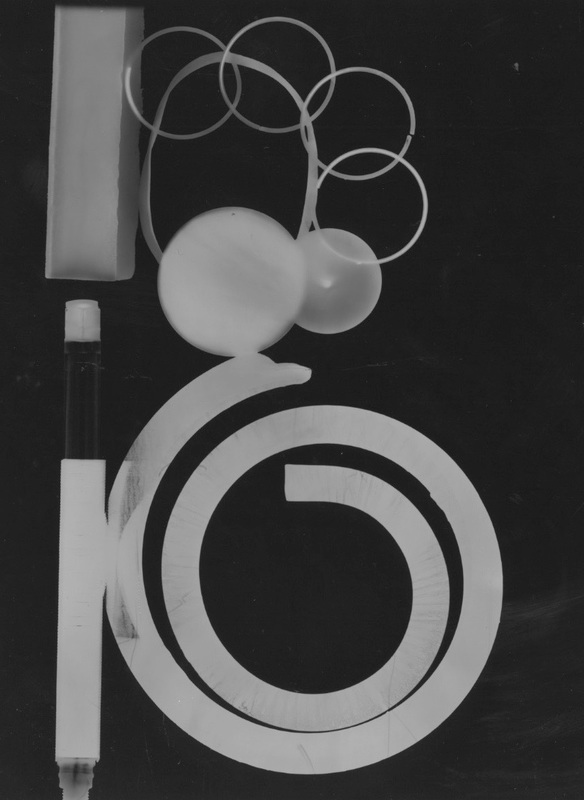 The larger objects are a mixture of whites and greys. 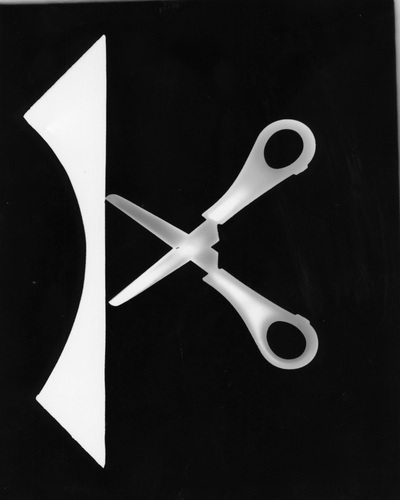 The image is very abstract, which I like, but I thought that I would try to make my next image a little more interesting by using more objects and spreading them out across the surface of the paper. 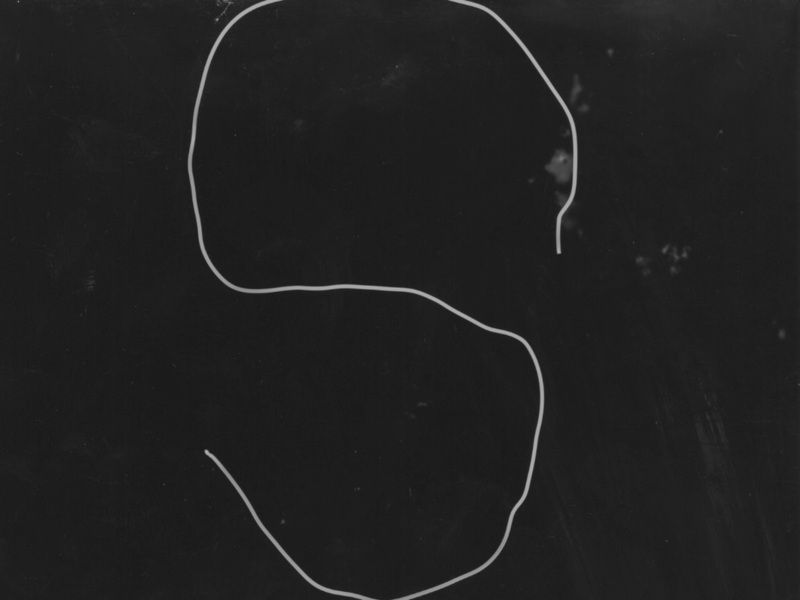 I was very pleased with my second attempt. 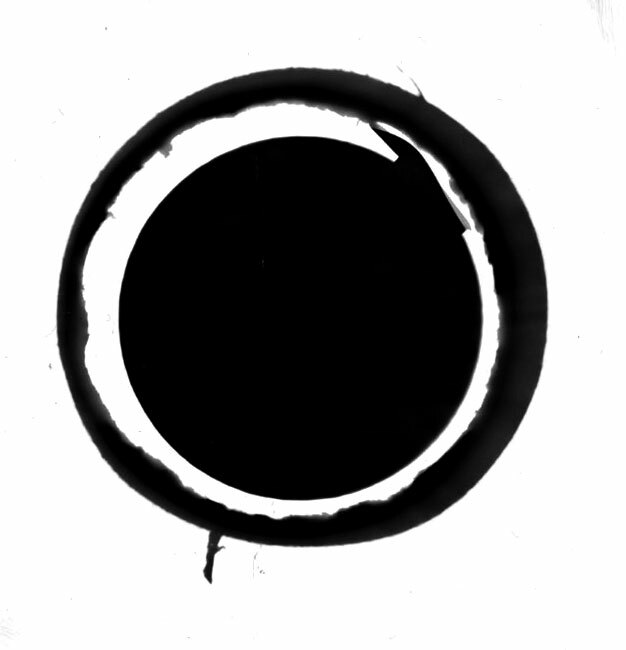 There is a wide range of tones from bright white, through shades of grey to deep black. 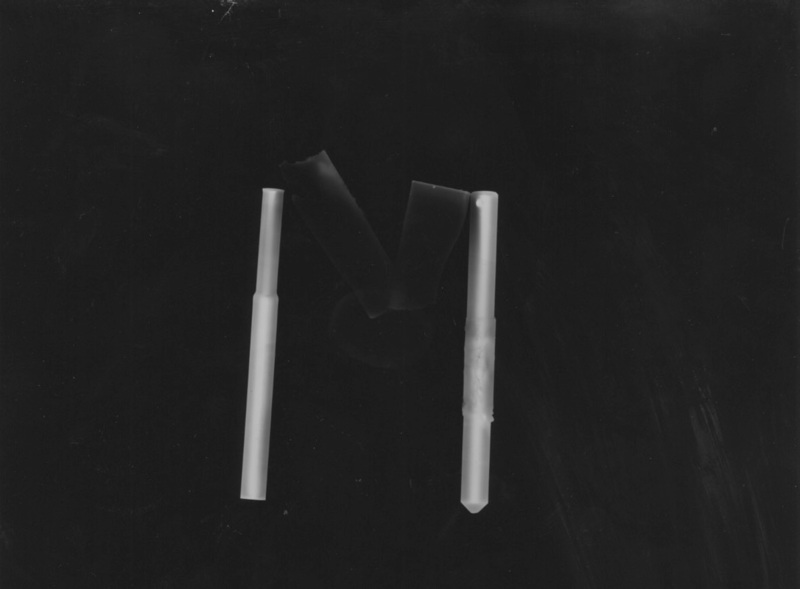 You can still see the translucent objects (like the lighter) which means that I got the exposure time (of ten seconds) about right. I really like the combination of solid shapes with more chaotic ones (like the spool of tape). 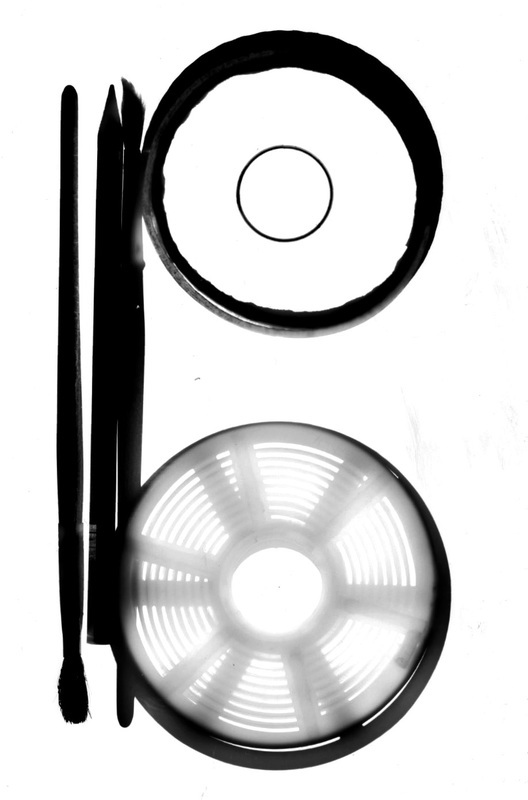 I also like the way the light bulb on the left has left an impression despite being almost completely see-through.